07.03.2019 For the last week I attended the 68th General Assembly of IFMSA (the International Federation of Medical Students’ Associations) in Slovenia. Over 1000 Medical students from all around the world gathered here, to exchange ideas, to discuss and to gain inspiration from each-other. 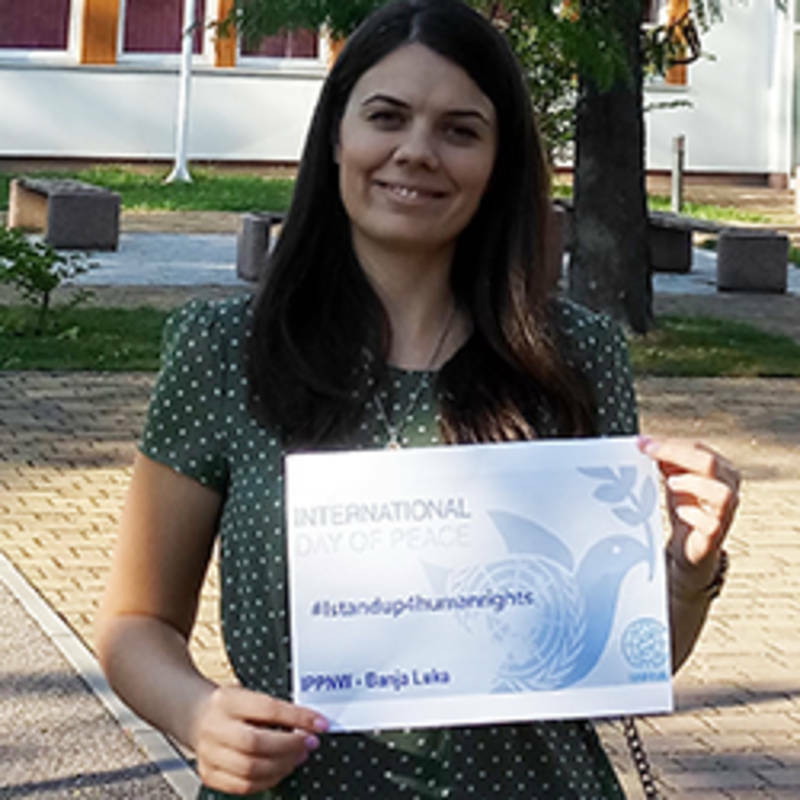 After a very long bus-ride from Berlin to Portoroz, I was warmly welcomed by Hiba Ghandour, Liasion officer for human rights and peace(SCORP). 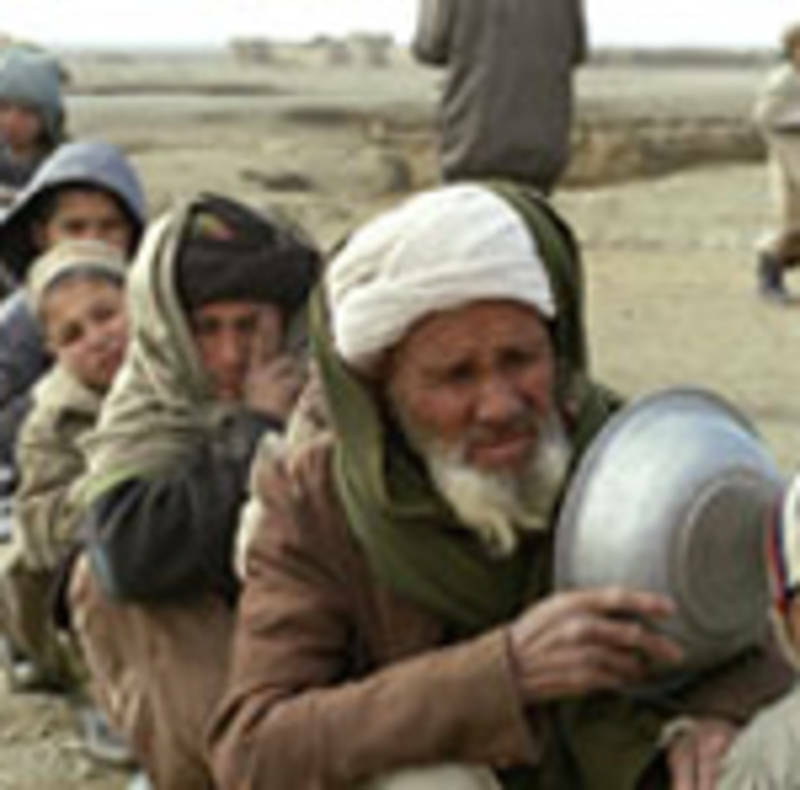 11.02.2019 The International Committee of the Red Cross (ICRC) and the International Federation of Red Cross and Red Crescent Societies (IFRC) have launched a new global video campaign about the catastrophic humanitarian consequences of a nuclear war. 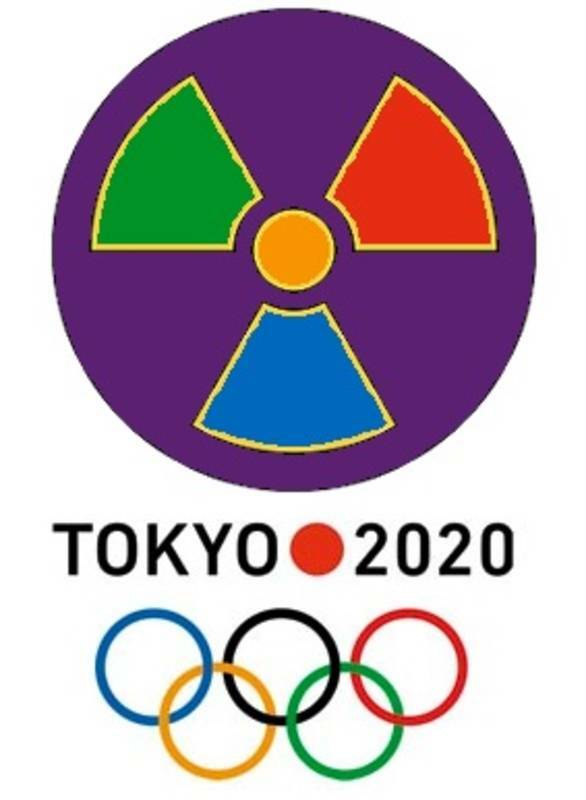 The goal is to encourage people to urge their governments to sign and ratify the Treaty on the Prohibition of Nuclear Weapons. Among the materials is a new video designed to engage “millennials” with the issue. 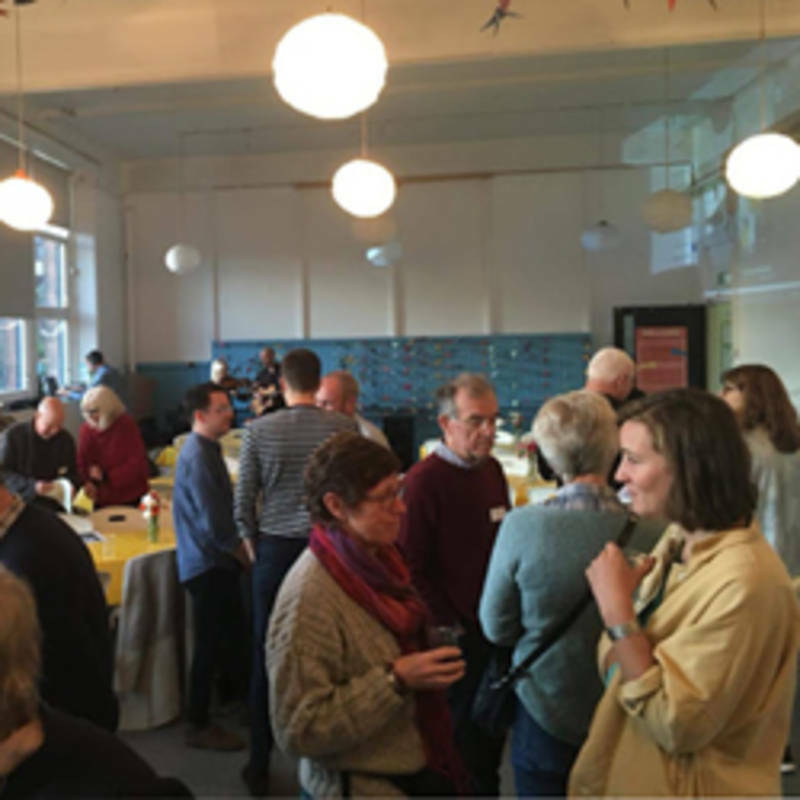 21.01.2019 In September 2018 the Don’t Bank on the Bomb Scotland (DBOTB Scotland) campaign group published a guide for divestment from nuclear weapons entitled ‘Stop Funding the End of the World: Working to eliminate nuclear weapons through divestment – A Guide for Scotland’, written by Linda Pearson.The guide was launched as part of the Nae Nukes international series of events in Scotland including a march and demonstration at Faslane in September 2018. Could Spain be the first NATO State to sign the Nuclear Ban Treaty? 06.12.2018 Good news just reached us from ICAN Spain: the left-wing political party Podemos got a commitment from the Spanish government to sign the UN Treaty on the Prohibition of Nuclear Weapons (TPNW). However, the government has not yet announced how and when they will implement this decision. This was a result of lobbying by ICAN, IPPNW’s Spanish representative Aurora Bilbao and Carlos Umana from IPPNW Costa Rica. 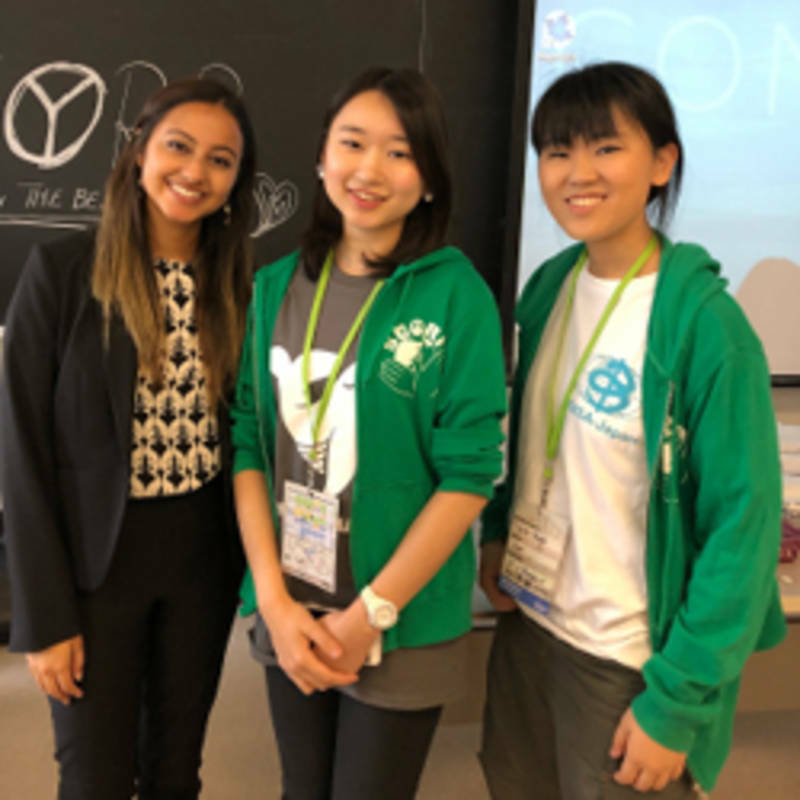 At a round-table on “Achieving a world without nuclear weapons,” Aurora gave a powerful presentation on the humanitarian impact of nuclear weapons. 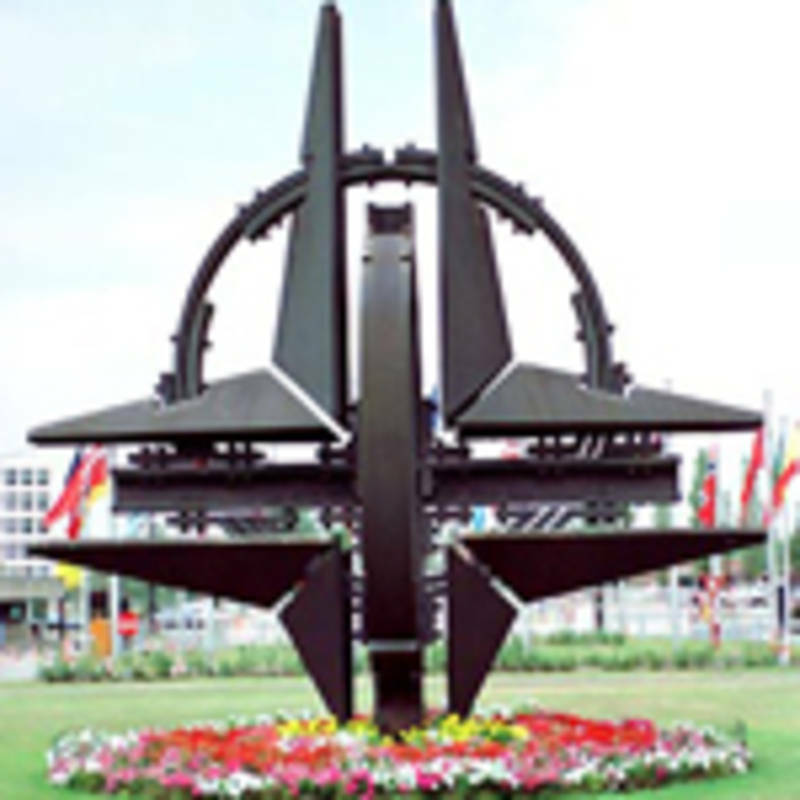 Spain’s signature would represent a significant breakthrough for the TPNW among NATO states. 07.11.2018 50 representatives from 14 active IPPNW affiliates met in September in Wroclaw, Poland, and discussed - among other topics - a common strategy for the nuclear weapon ban treaty. 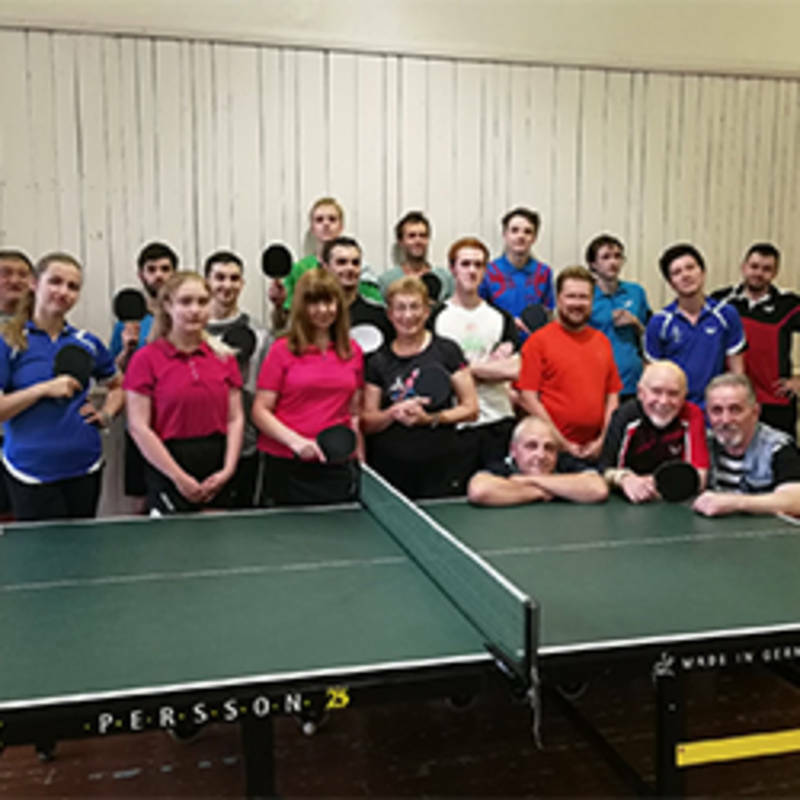 Other topics were “Seeking Refuge from War”, "Climate Change and the Energy Shift", “Peace and Reconciliation in Central and Eastern Europe “ and “Arms exports and Aiming for Prevention”. 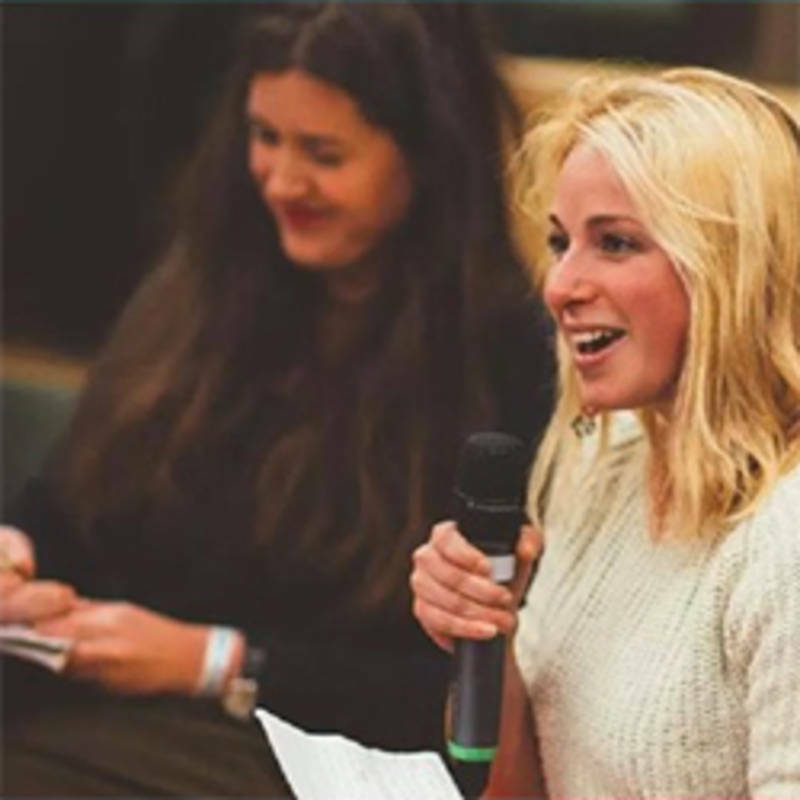 It was the first time that IPPNW Europe organised a joint affiliates’ and student representatives' meeting together, and it turned out to be very inspiring and successful. 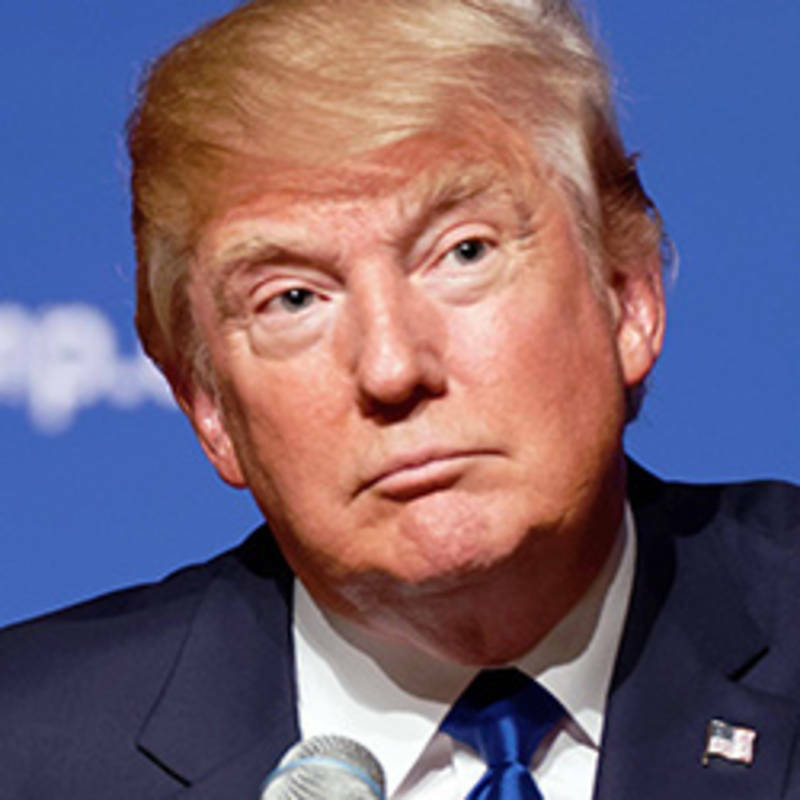 24.10.2018 Donald Trump announced on Saturday that the United States will withdraw from the 1987 Treaty on Intermediate-Range Nuclear Forces (INF), a decision confirmed by national security adviser John Bolton earlier this week. The following is a statement issued today by IPPNW’s executive committee. 10.10.2018 Nuclear weapons are weapons of mass extermination. In light of the terrible humanitarian and environmental effects that such weapons have, doctors and scientist have always warned the global society that such weapons must never be used again, and should be abolished. 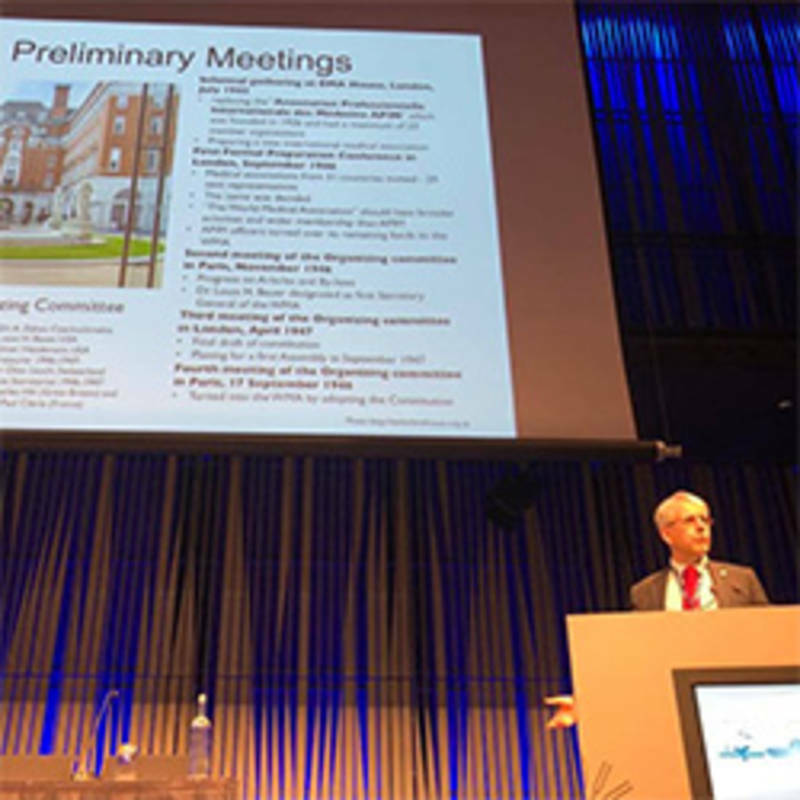 This weekend (October 5-6), I had the privilege to represent IPPNW at the general assembly of the World Medical Association in Reykjavik, Iceland. 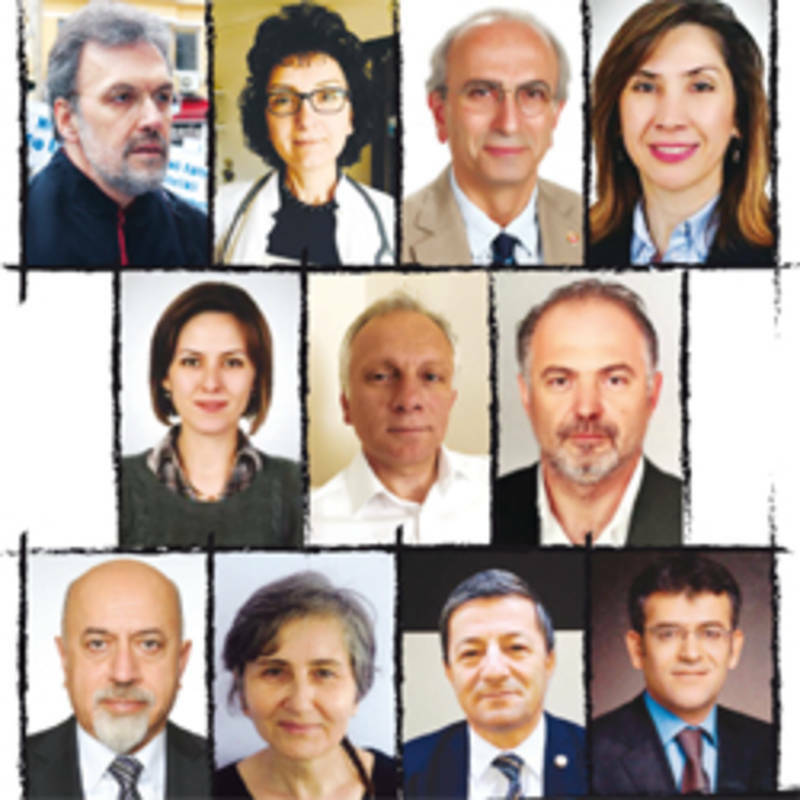 The WMA is a federation of 114 national medical associations from all over the world. 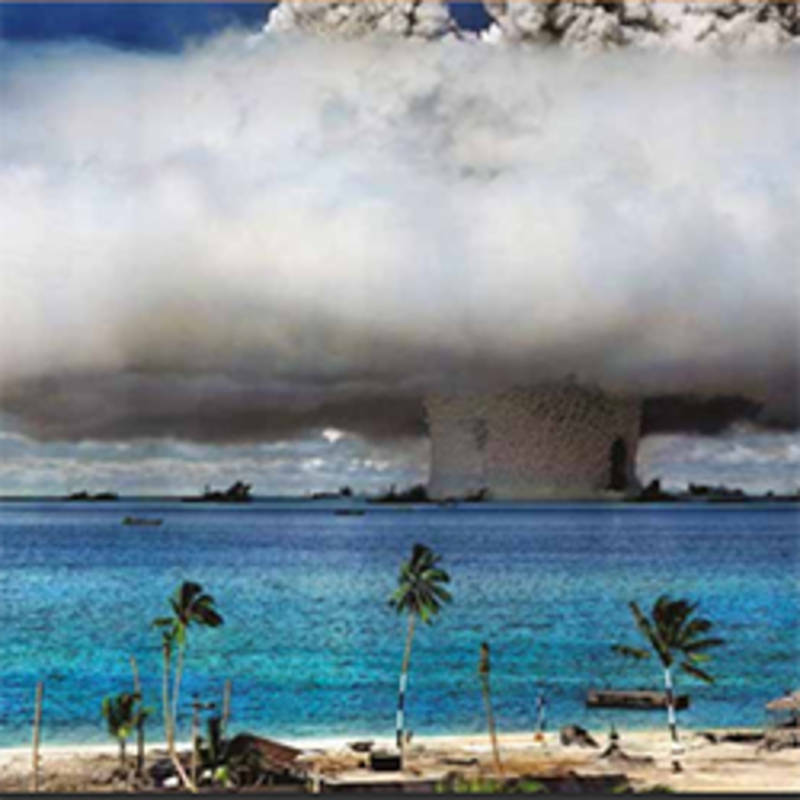 Between 1952 and 1958, Aotearoa New Zealand military personnel participated in nuclear weapon tests carried out by the UK and the US, in Australia and Kiribati. Members of Aotearoa New Zealand’s armed forces were also exposed to radiation during the Allied occupation of Japan following the atomic bombing of Nagasaki and Hiroshima, and later, when protesting against France’s nuclear testing in French Polynesia. Aotearoa New Zealand nuclear veterans claim that their health, and their descendants’ health, were adversely affected by exposure to ionizing radiation. Their concerns are supported by independent medical research. 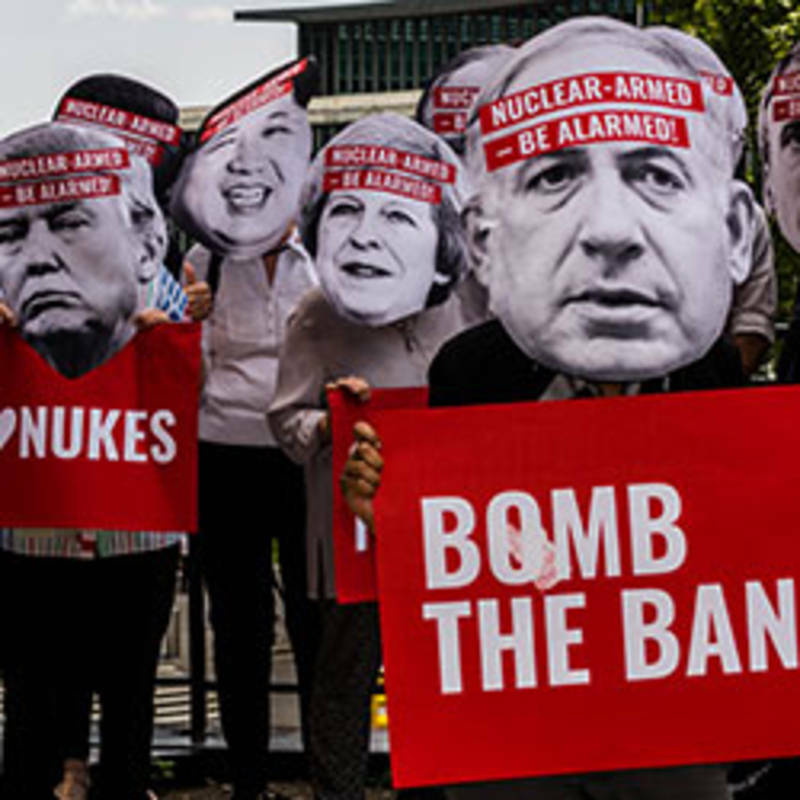 22.09.2018 On 22nd September Medact members tok part in the ‘Nae Nukes Anywhere’ peace rally at the Faslane Nuclear Base – home to the UK’s Trident submarines. Our Medact contingent joined hundreds of protestors on the stretch from the Peace Camp to the North Gate, and inspiring speakers included Makar Jackie Kay (Scottish poet laureate) and fellow poet, US ICAN co-ordinator and longtime friend of Medact Timmon Wallis. 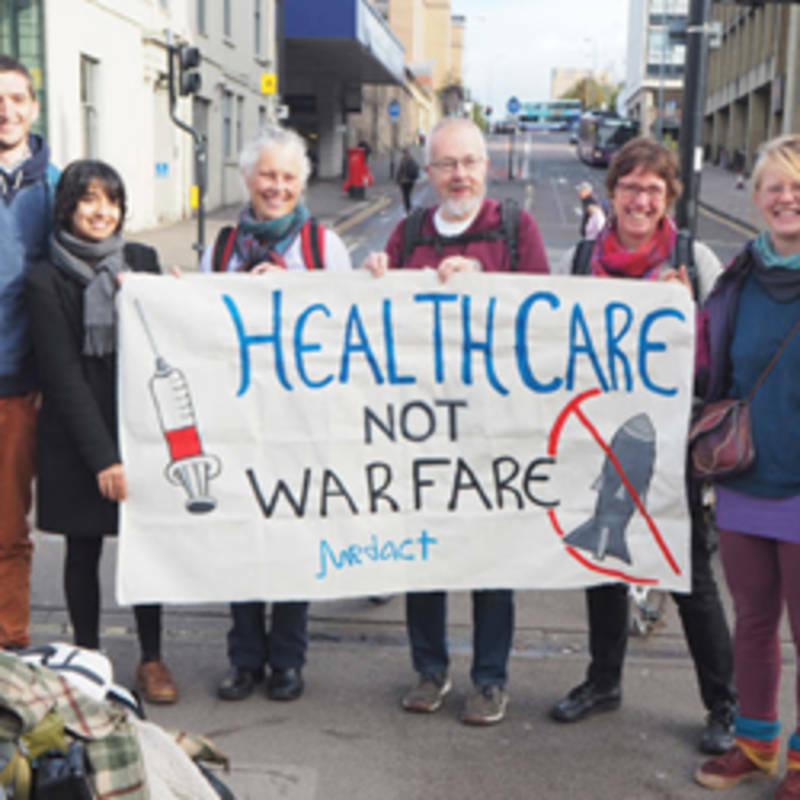 Medact members brought the health voice with our banners, placards and by handing out “prescriptions for nuclear disarmament” to interested members of the public. 07.09.2018 IPPNW and IFMSA have enjoyed informal working relationships for years, and over the next month, I worked with the team at the IFMSA to create a session dubbed “Youth-led Nuclear Disarmament.” The session was going to explore how youth and students can speak against nukes as we all push governments to sign the TPNW. This opportunity reminded me of how our IPPNW founding fathers must have felt when they first united to speak against these nukes. 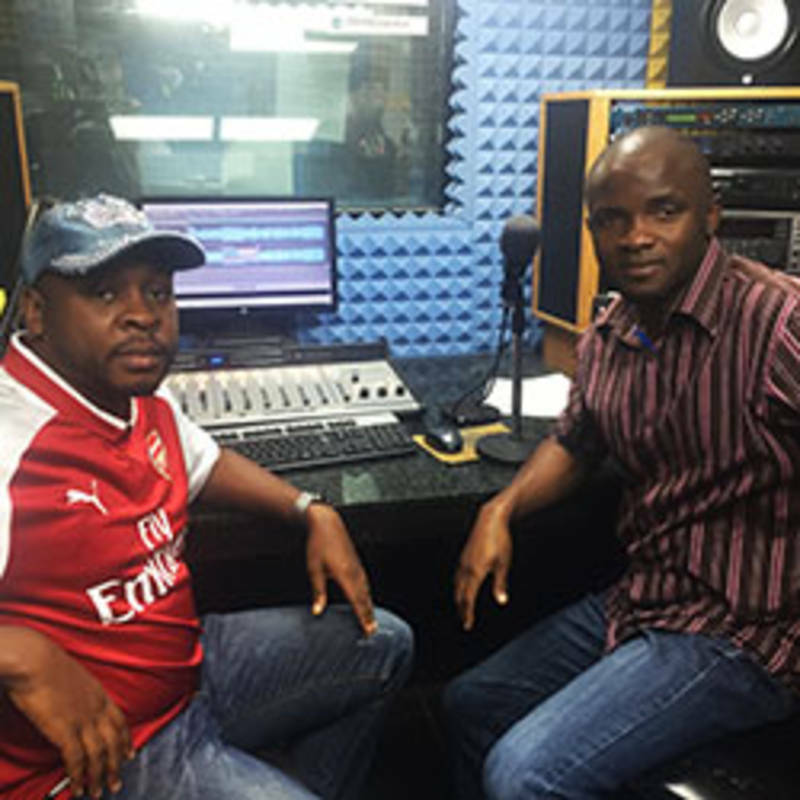 I imagine they found seemingly insurmountable hurdles, but, like us, did not give up. 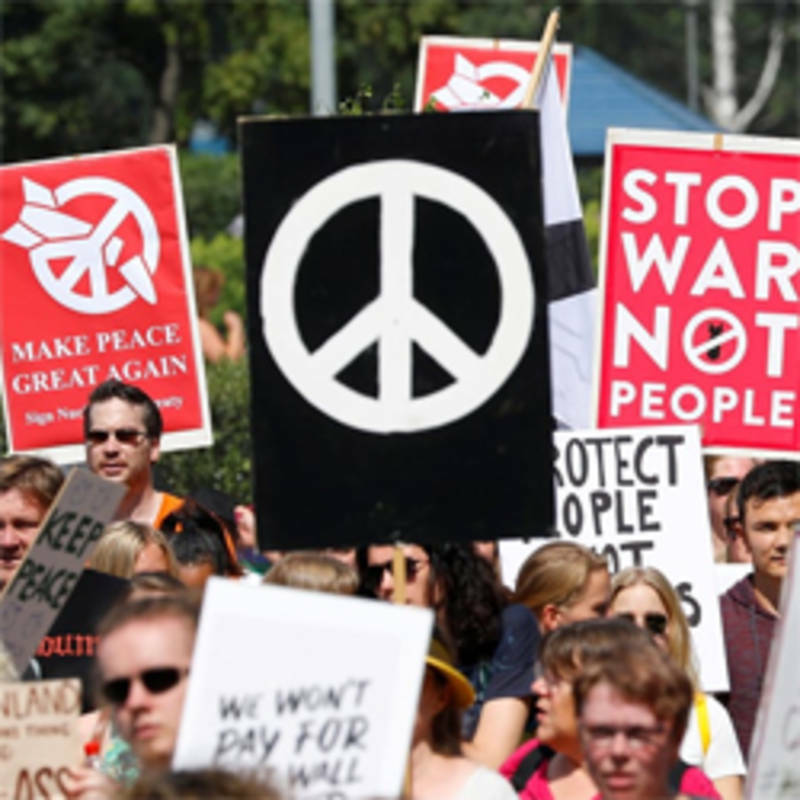 08.08.2018 Los Angeles has added its name to a growing number of individuals, organizations, and cities that are calling for the United States to take action to prevent nuclear war. 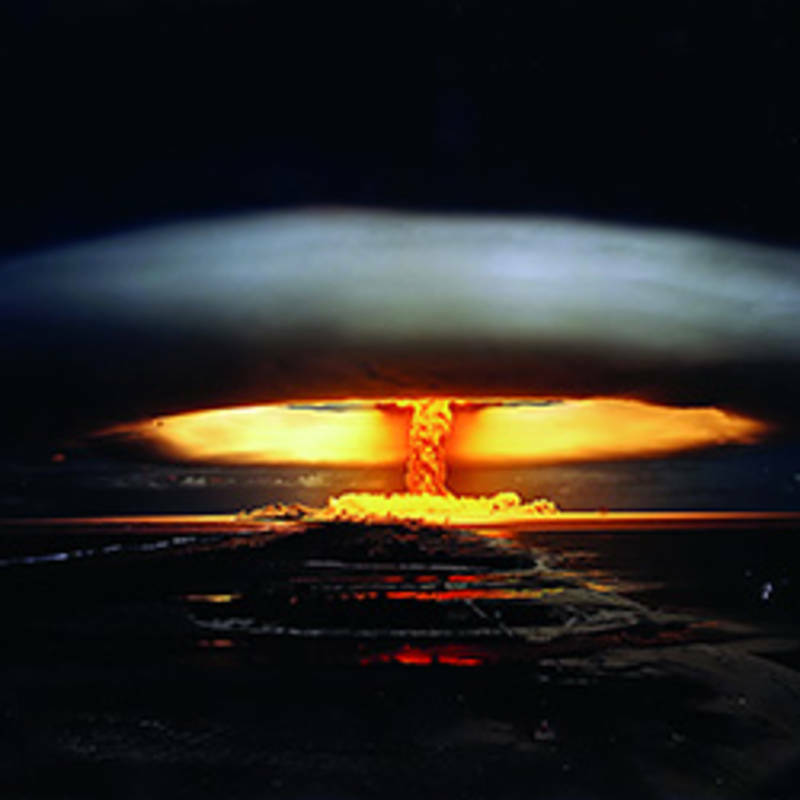 On August 8, the Los Angeles City Council voted to approve a resolution that urges the U.S. to embrace the U.N. Treaty on the Prohibition of Nuclear Weapons and implement important protective policies such as ending the President’s sole, unchecked authority to launch a nuclear attack, taking U.S. nuclear weapons off hair-trigger alert, and canceling U.S. plans to replace its entire nuclear arsenal with enhanced weapons. The resolution was introduced by Councilmembers Paul Koretz and Mike Bonin. 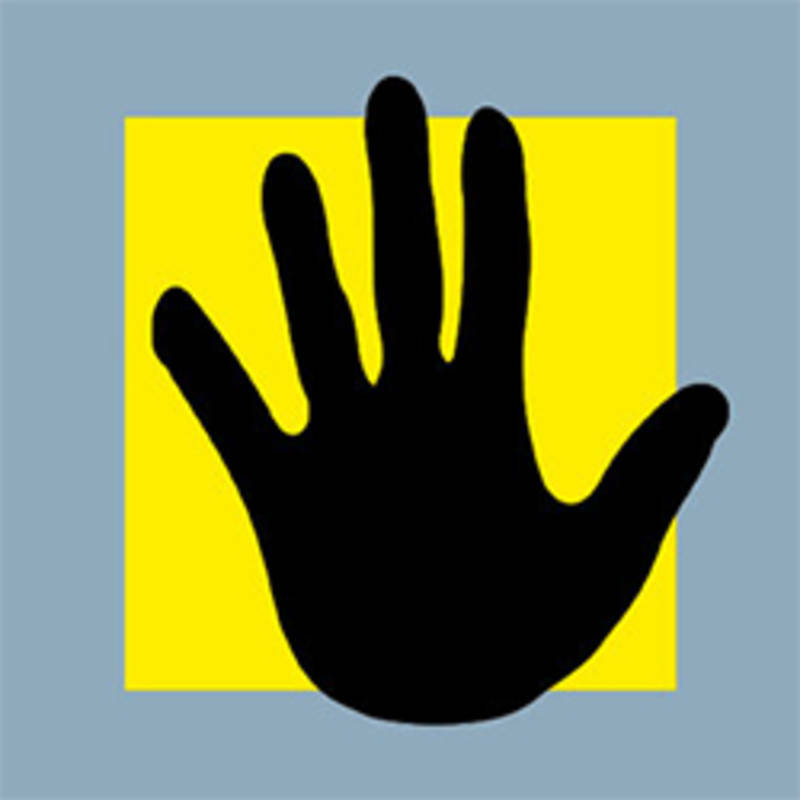 Sam Husseini, a journalist with The Nation, was forcibly ejected from the press conference held at the conclusion of the US-Russia summit in Helsinki. 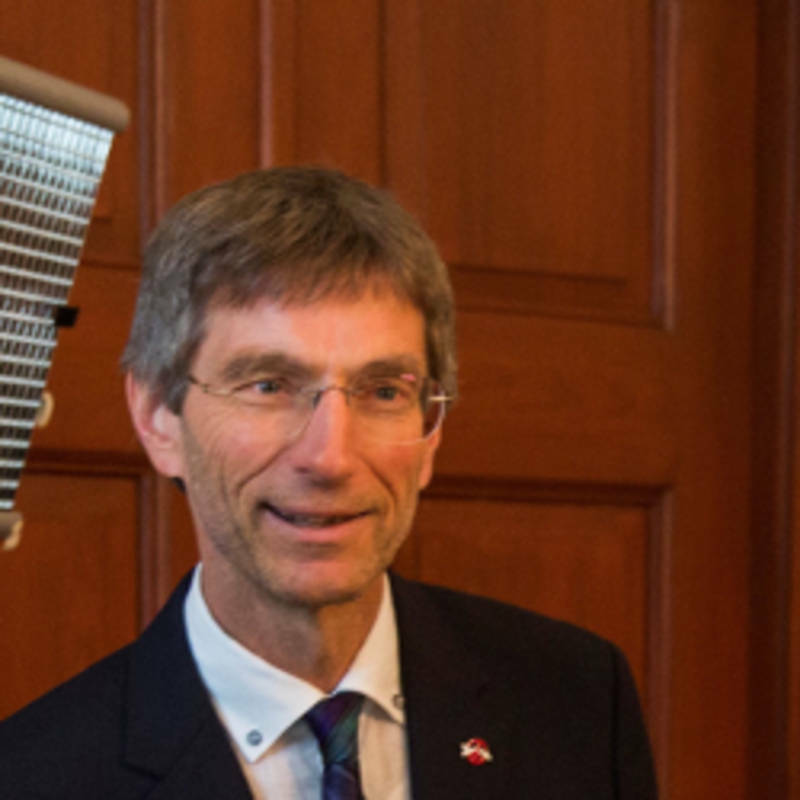 A piece of paper that he held on which the words “nuclear weapon ban treaty” were written, seen briefly on video as he was being dragged from the room by Finnish security, provided a pretty big clue as to why he was unwelcome. 17.07.2018 On 8 July 2018 Dr. Taipale delivered this address to President Trump and Putin from the balcony of the Old Student House in Helsinki, Finland: "You have awakened humanity from years of deep hibernation. 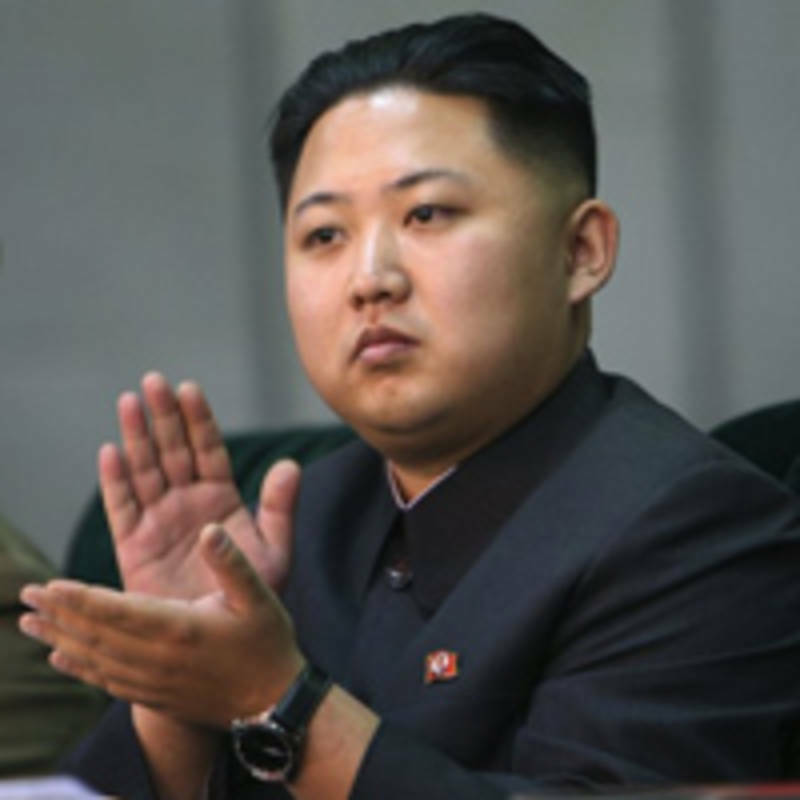 And let’s not forget the North Korean leader, Kim Jong Un. Together you have reminded the peoples of the world about the existence of nuclear weapons. The greatest threat today is not global warming but nuclear weapons and the danger of nuclear war. Your colourful speeches have let the genie out the bottle. The spirit of nuclear disarmament has escaped, and can no longer be shut away. 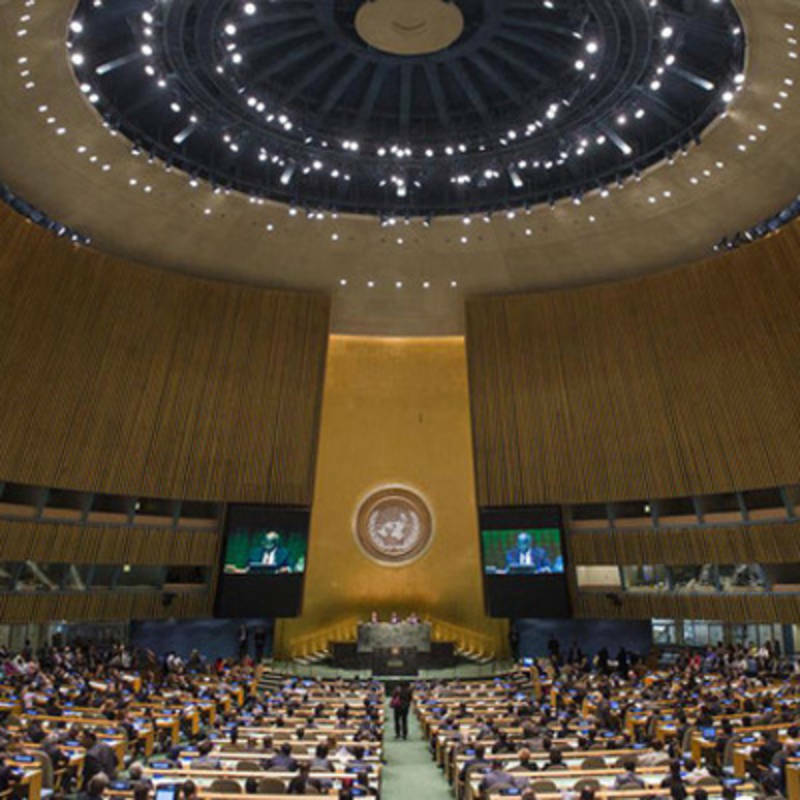 122 countries have signed the United Nations’ Nuclear Non-Proliferation Treaty. 13.07.2018 The US conducted 105 atmospheric and underwater tests at its Pacific Ocean proving ground from 1946-1962. Massive amounts of radioactive fallout from those tests spread across the Pacific, causing severe health effects that have continued to this day. One of the best-known incidents from this reckless and shameful history was the fate of the Japanese fishing boat the Lucky Dragon. 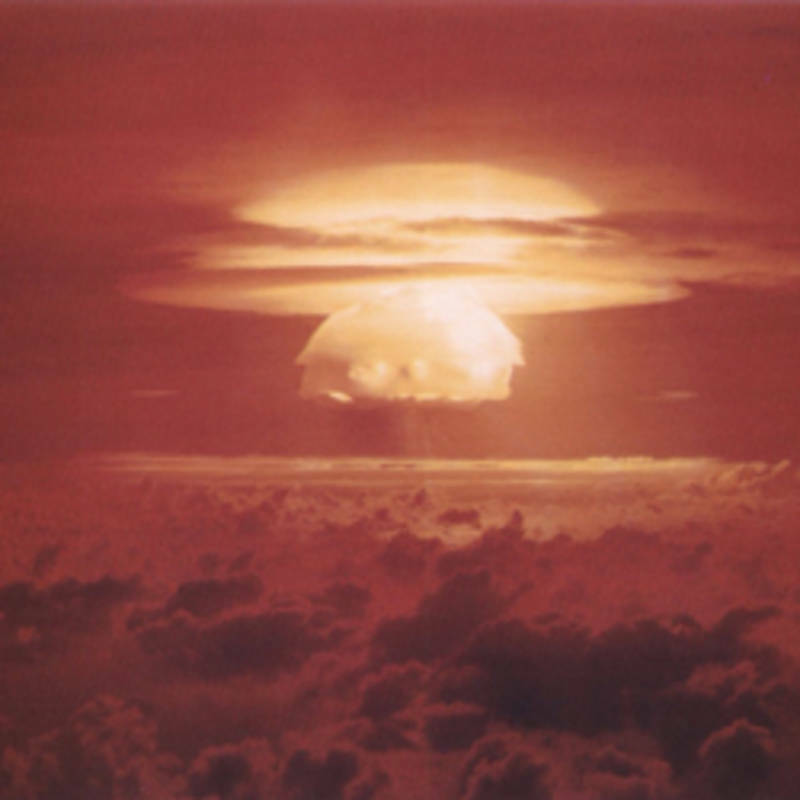 Despite being 90 miles away from ground zero, all 23 crew members were covered in thick layers of fallout from the March 1, 1954 Castle Bravo explosion, which, at 15 megatons, was the largest US nuclear test. The entire crew suffered from acute radiation sickness and were hospitalized for months. One crew member died from his injuries. 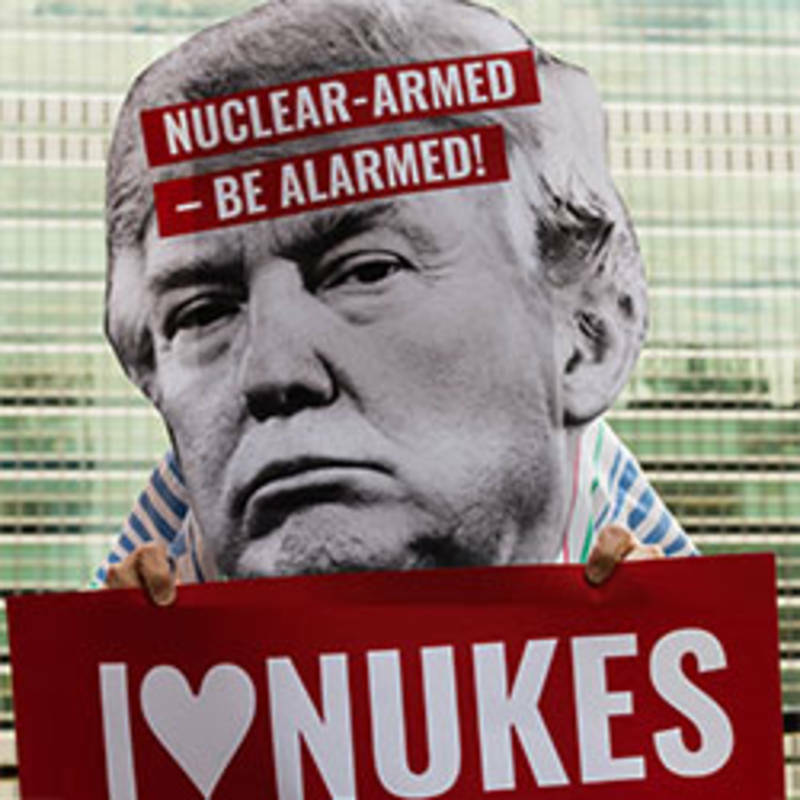 10.05.2018 There is general concern about the impulsive behaviour of the current President of the USA and this article addresses ways of de-escalating the danger of a nuclear exchange. The 12 kiloton bomb dropped on Hiroshima in 1945 caused total obliteration over a distance of 3.2 km, and fires across 11km2. Some 70-80 thousand people or 30% of the population of Hiroshima died either immediately or over the next few weeks of blast, firestorms or radiation. 08.05.2018 15,000 nuclear weapons remain in existence in 2018 despite the 1970 commitment by UN member States to disarm. With 100 nuclear weapons exploding on cities, a nuclear winter can be created that is capable of killing up to 2 billion human beings, saying goodbye to human civilisation as we know it in the process. With 1000 nuclear weapons we can say goodbye to the human species. 28.03.2018 Over the past few days in Delhi, I’ve had the privilege of joining an international seminar titled: “The Landmark Treaty Prohibiting Nuclear Weapons: Opportunities and Challenges.” Held in the augustly named Constitution Club, the seminar was organised by Indian Doctors for Peace and Development (IDPD), IPPNW’s Indian affiliate, together with the Coalition for Nuclear Disarmament and Peace, and the All India Peace and Solidarity Organisation. The seminar was joined by former government Minister Shri Mani Shankar Aiyar, other former Members of Parliament, retired Major General Vinod Saighal, distinguished Indian scholars and campaigners for peace, medical students from across India, and prominent physicians and IPPNW leaders from Nepal and Bangladesh. 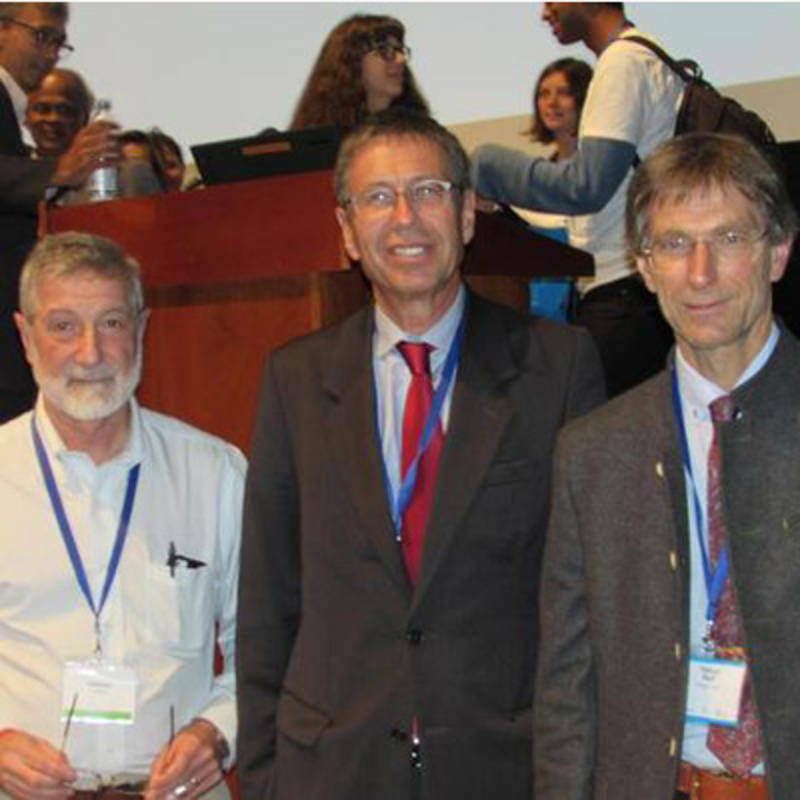 IPPNW was well represented by International Student Representatives Franca Brüggen (Germany) and Kelvin Kibert (Kenya), as well as IPPNW co-presidents Ira Helfand (USA), Arun Mitra (India), and myself (Australia). 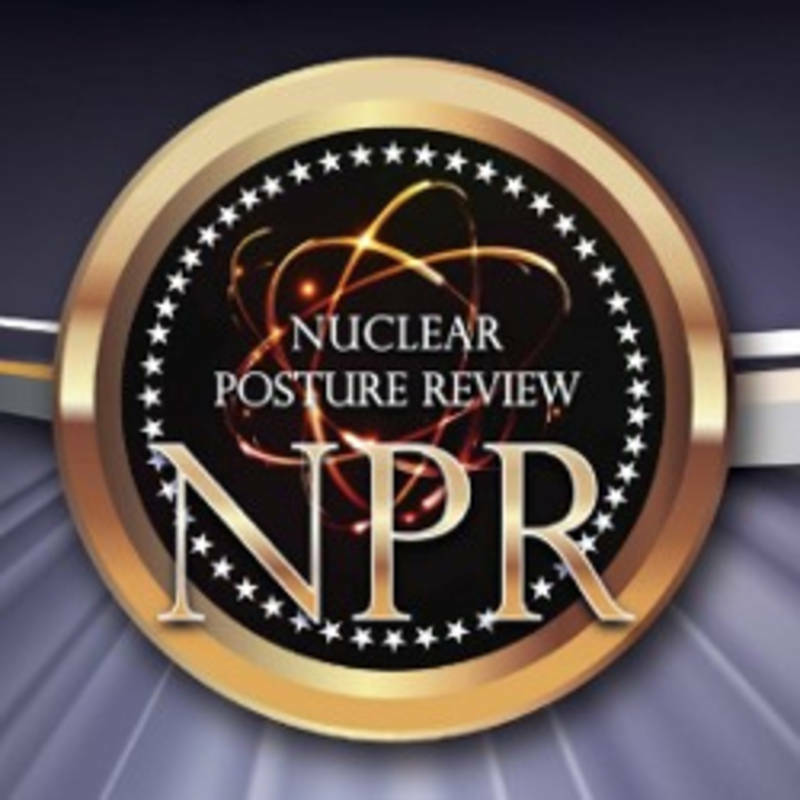 15.03.2018 The Trump administration’s Nuclear Posture Review, released in February, marks a continuation of the nuclear weapons programs, priorities, and budgets from the past decade or so. The main additions to an already enormous and expensive arsenal — at a cost of $1.2 trillion over the next three decades — are a “low-yield” submarine-launched ballistic missile and a sub-launched cruise missile. 07.03.2018 ICAN partner organization PAX has published a new edition of the landmark report detailing global investments in companies that produce nuclear weapons. 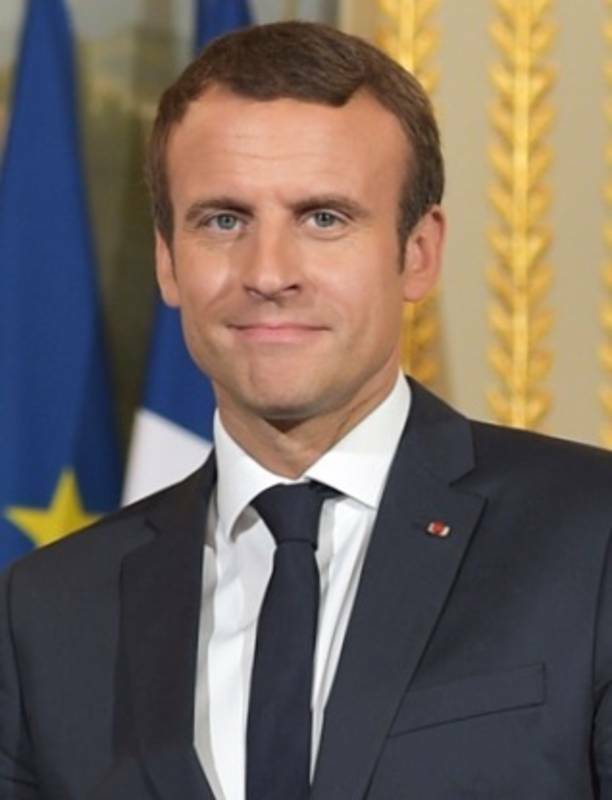 The 2018 update of Don’t Bank on the Bomb shows that 329 financial institutions from around the world have invested US $525 billion into 20 companies involved in the production, maintenance and modernization of nuclear weapons in France, India, the United Kingdom, and the United States since January 2014. 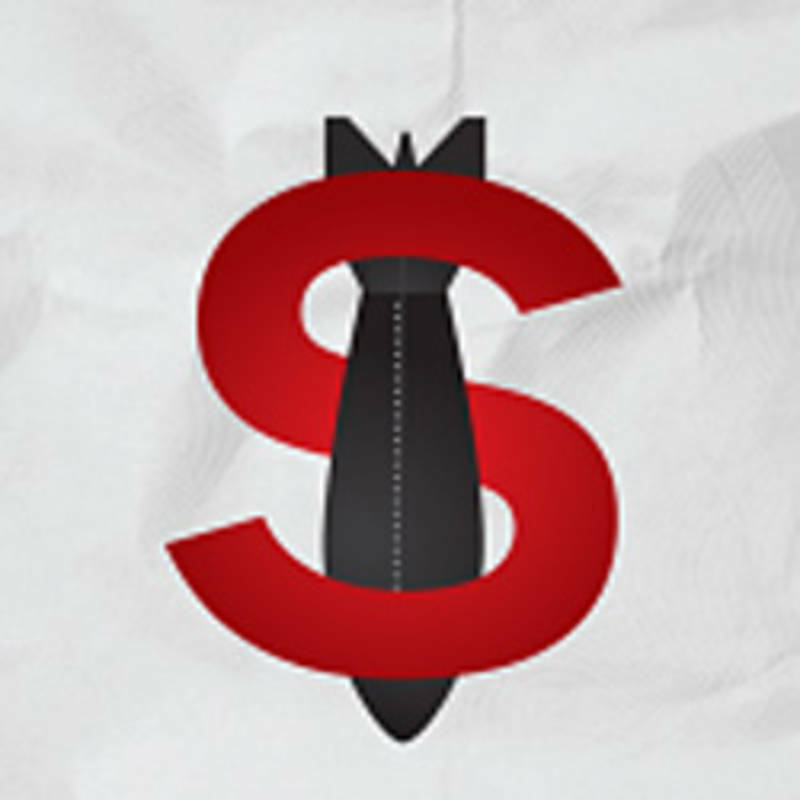 Fourteen country profiles provide details about nuclear-weapons-related work of identified producers and the financial institutions that support this work. 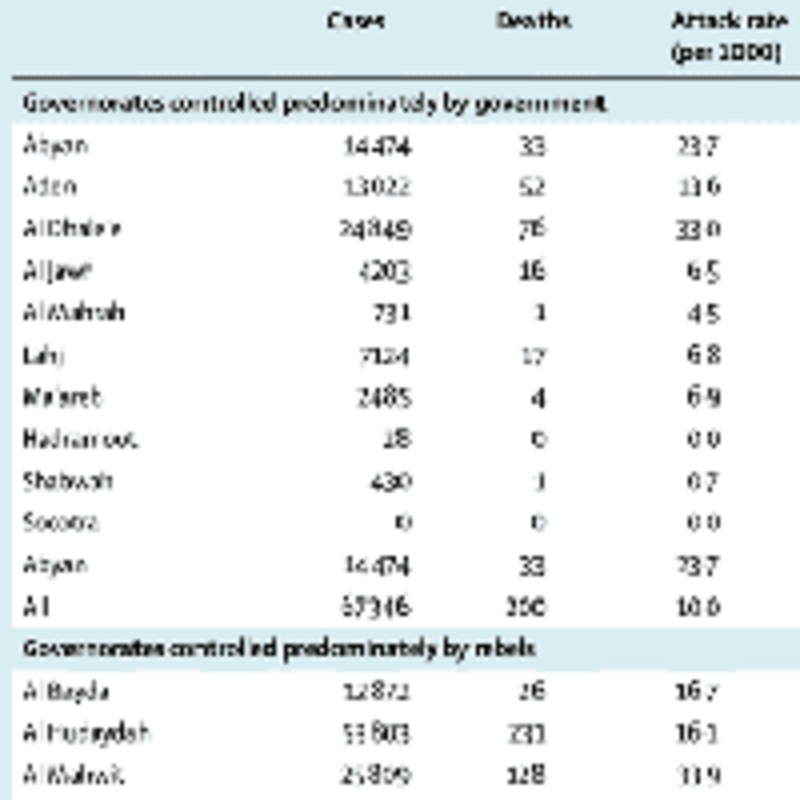 On the positive side, Pax researchers found that the number of institutions that have financial relationships with nuclear weapon producers has decreased since the adoption of the Treaty on the Prohibition of Nuclear Weapons. Don't Bank on the Bomb! 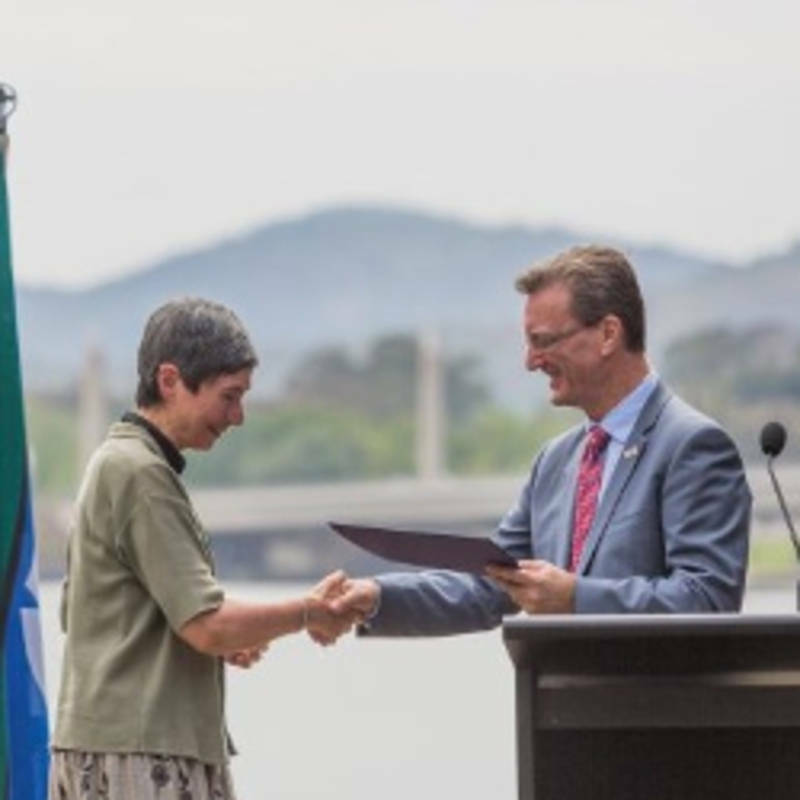 26.02.2018 IPPNW Board member Dr. Sue Wareham has received the first Chief Minister’s Rotary Peace Prize in Canberra. Attorney-General and Minister for the Arts and Community Events, Gordon Ramsay presided over the award ceremony at the unveiling of the Canberra Rotary Peace Bell in February. 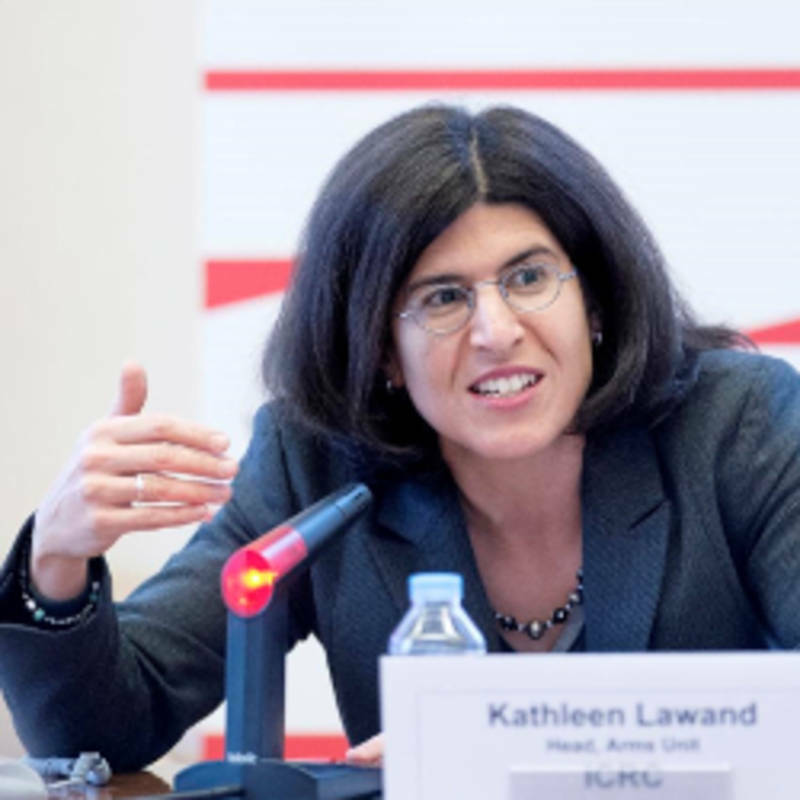 Dr. Wareham called on Australia to rethink the policy of building an economy on war profiteering and having a vested interest in wars and instability. “Going to war should not be the thing that Australia is good at and the thing that Australians recognise as central to their identity,” she said. Read the full article at Riot Act! You’d be hard pressed to find a stronger case for the Nuclear Weapons Ban Treaty than the new US Nuclear Posture Review released last week by the Trump administration. Not that the gloomy, unreconstructed apologists for US geopolitical, economic, and military dominance who authored this frontal assault on nuclear disarmament intended to make that argument. 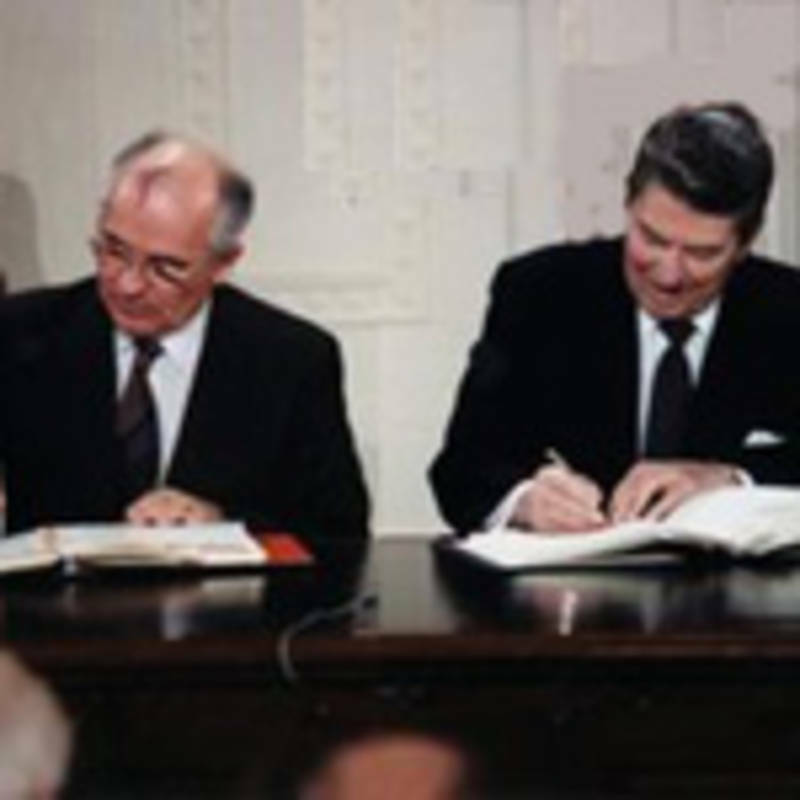 To the contrary, after portraying a world so relentlessly hostile to US interests that only a multi-billion dollar “recapitalization” of the nuclear weapons enterprise can keep the country’s adversaries from wreaking havoc, the authors dismiss the Treaty as an unrealistic and polarizing diversion that undermines the whole principle of nuclear deterrence. 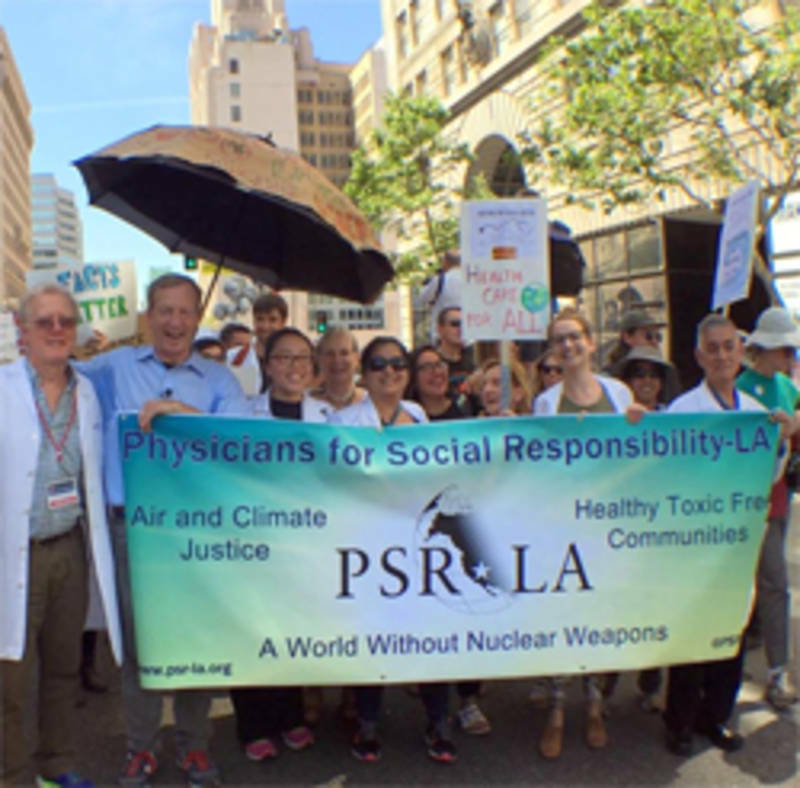 04.02.2018 We are deeply saddened by the passing of Dr. Victor W. Sidel, a co-founder and former president of PSR, and a former co-president of the International Physicians for the Prevention of Nuclear War (IPPNW). 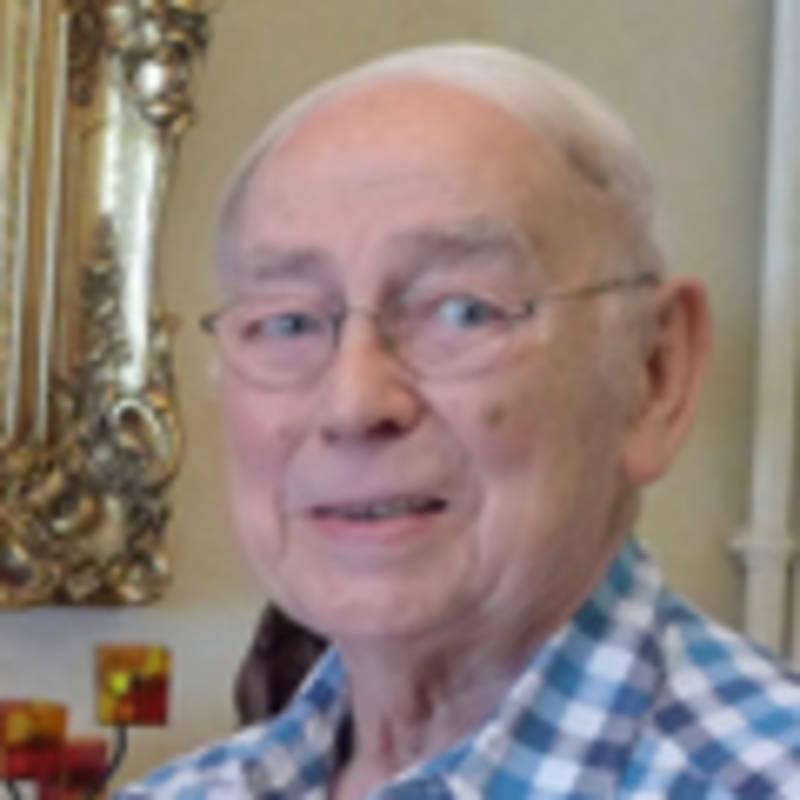 Dr. Sidel passed away on Tuesday, January 30. 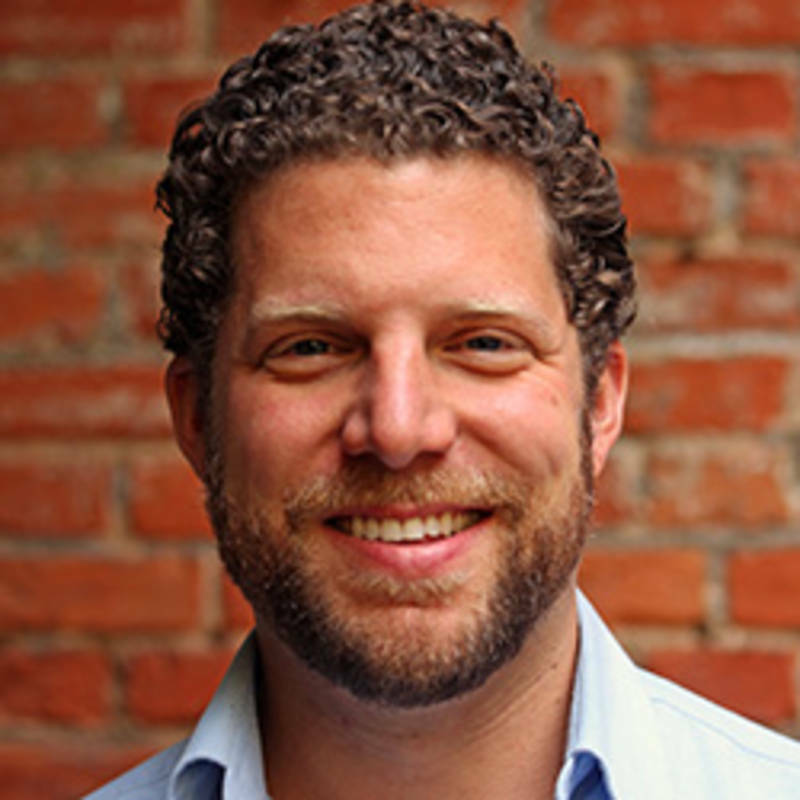 We extend our sincere condolences to Dr. Sidel's family and loving friends as we remember his remarkable life. 29.01.2018 During Senate estimates in October last year, the Australian government dug further into the deep and dark moral abyss in which it is stuck in relation to the existential threat posed by nuclear weapons. 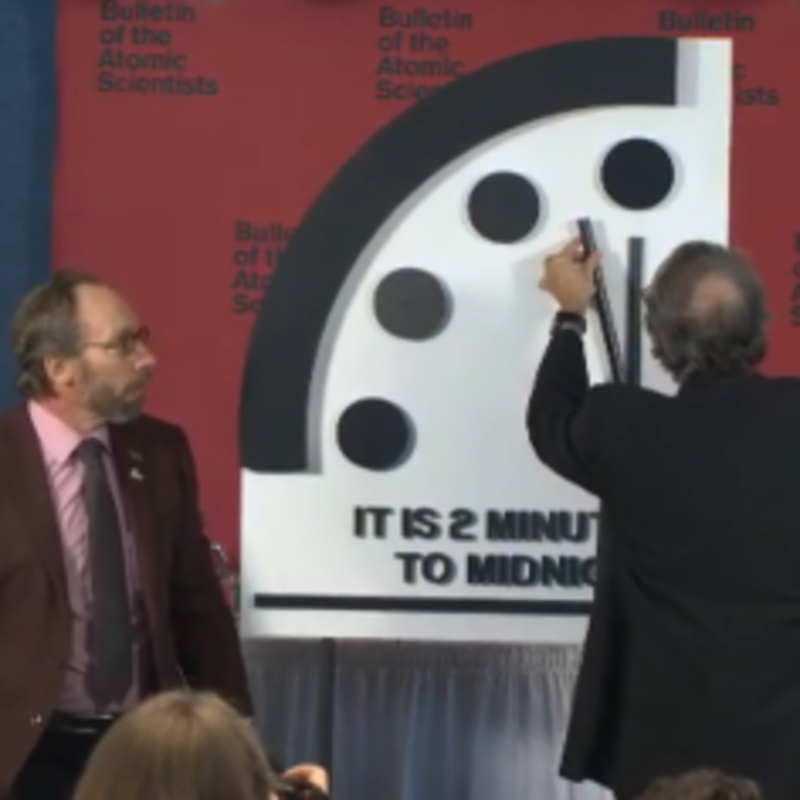 26.01.2018 Citing “looming threats of nuclear war,” the Science and Security Board of the Bulletin of the Atomic Scientists has reset the Doomsday Clock to two minutes to midnight—the closest the world has been to catastrophe since 1953. While the Clock has come to represent the level of a number of global threats, including global warming and emerging technologies, the Bulletin attributed this year’s warning almost entirely to the urgent and growing risk of nuclear war. 25.01.2018 For the first time in France, on Thursday, January 25, the French Red Cross (CRF) organized a panel discussion at its headquarters in Paris on the issue of the Nuclear Weapons ban treaty (NWBT). 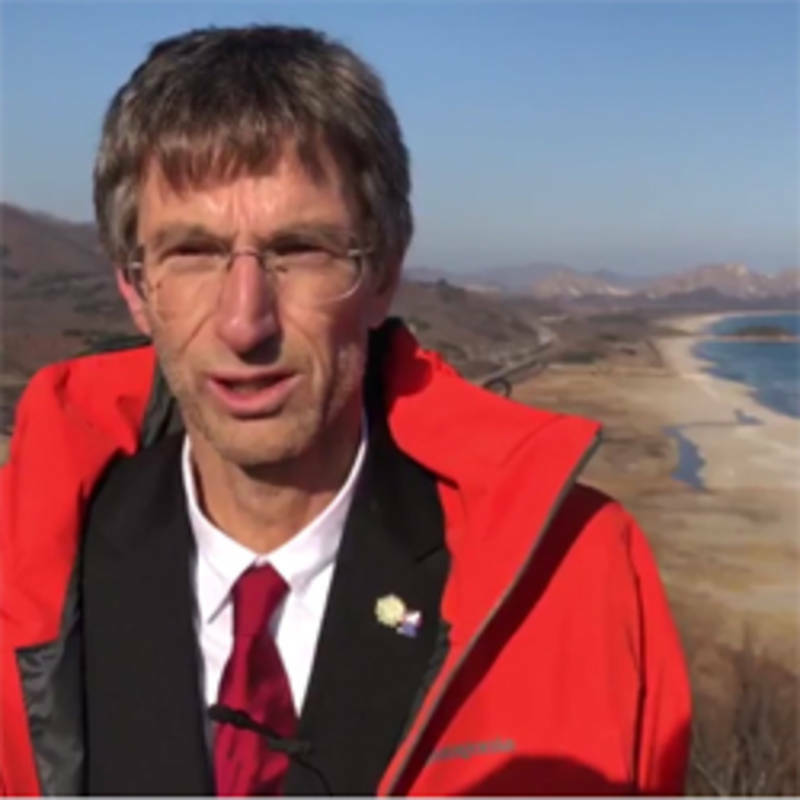 19.12.2017 On December 19th 2017 Tilman Ruff, IPPNW Co-President and also ICAN Campaigner visited the demilitarised zone between North and South Korea together with Tim Wright (ICAN), where they spoke to reporters about the urgent need for all nations to sign and ratify the nuclear ban treaty. 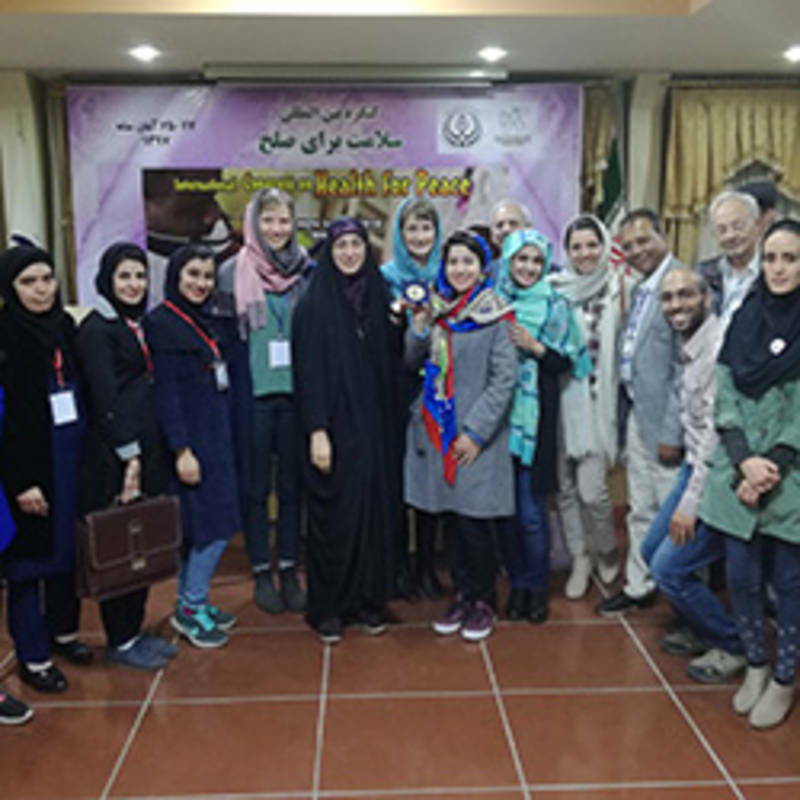 04.12.2017 PSR, Medact, and AMFPGM have responded jointly to the announcement by the US, UK, and French governments that they will be sending only lower level representatives to the Nobel Peace Prize award ceremony in Oslo on December 10. 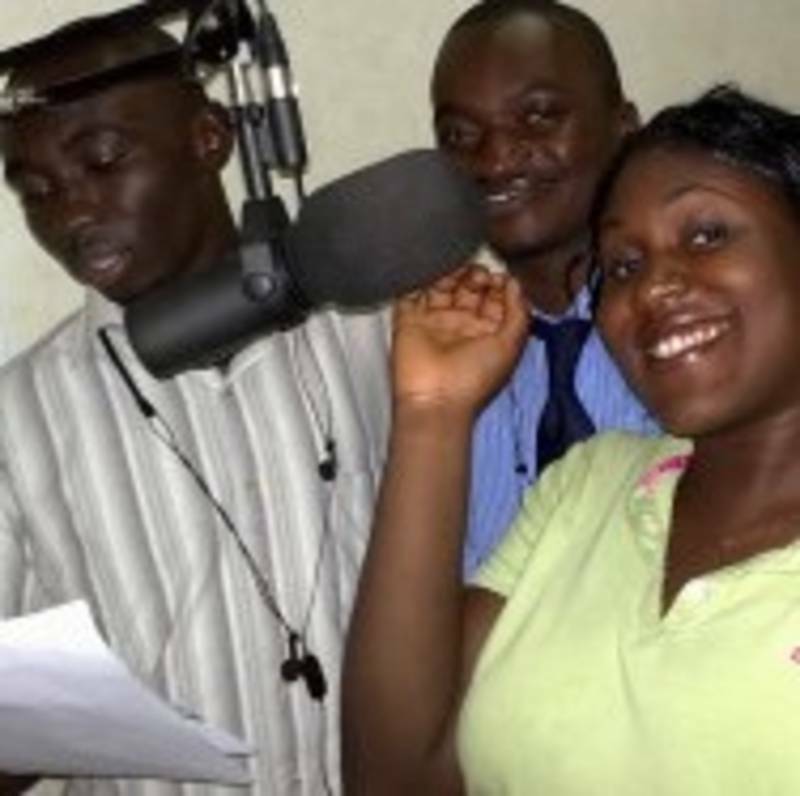 Their statement follows: We the undersigned are ashamed that our governments are insulting this year's Nobel Peace Prize award ceremony in Oslo, Norway on 10th December by sending only junior diplomats. 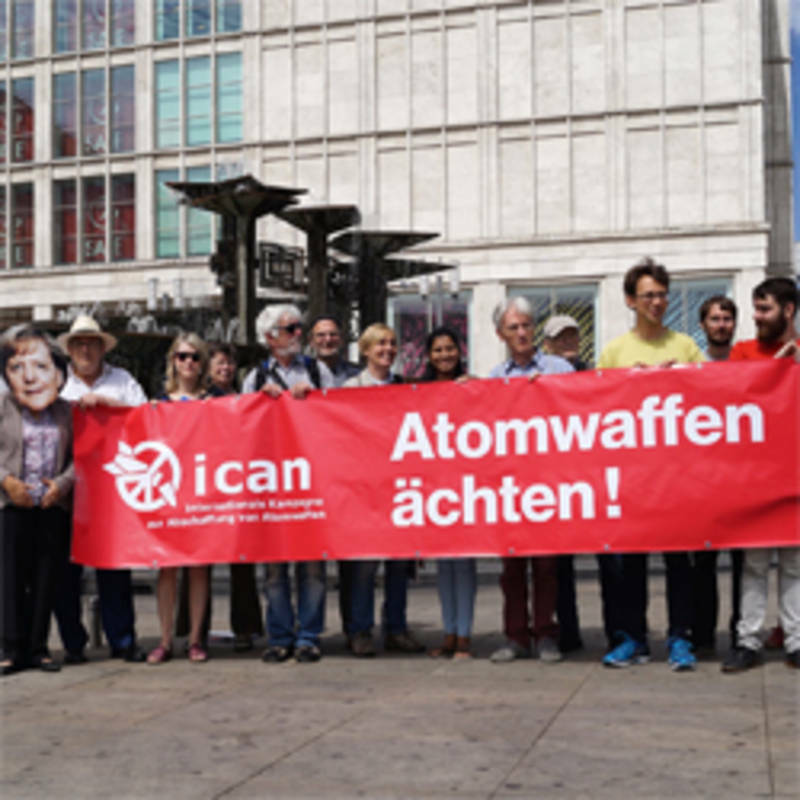 The award is for ICAN, the International Campaign to Abolish Nuclear Weapons, and follows the overwhelming vote of 122 nations at the United Nations General Assembly in July this year to adopt the nuclear weapons ban treaty. Meeting in the Vatican: "Perspectives for a World Free of Nuclear Weapons"
12.11.2017 Speaking at an international meeting on disarmament entitled "Perspectives for a world free of nuclear weapons", organized by the Vatican, the Nobel Peace Prize winner from Argentina, Adolfo Pérez Esquivel, denounced the existence of nuclear submarines on the islands Malvinas: "It is outrageous what is happening, we can talk about many international treaties against nuclear weapons, but they are not respected. 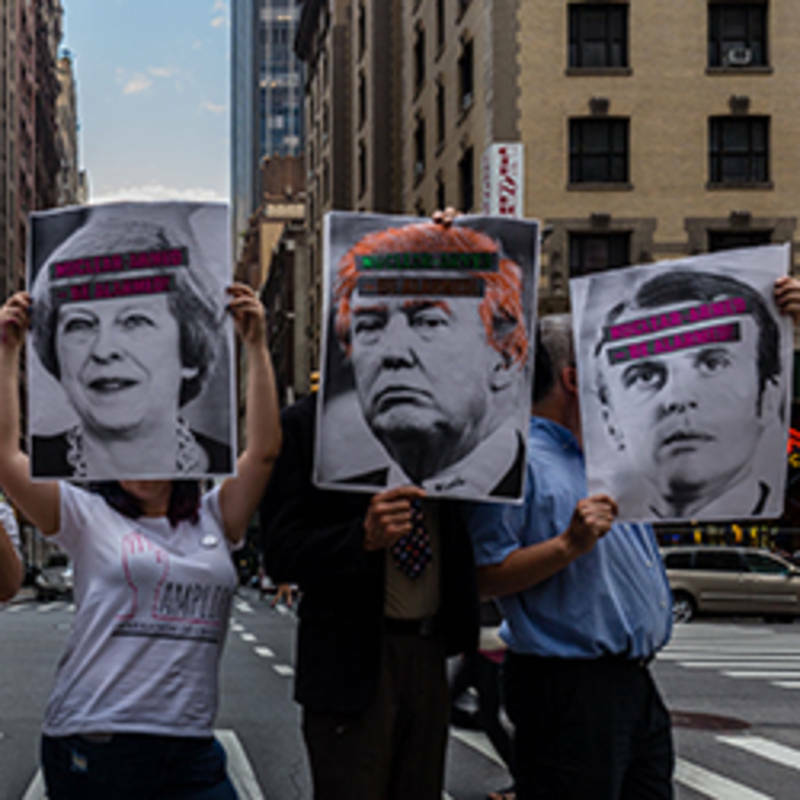 In Latin America we have the treaty for the banning of nuclear weapons from Tlatelolco, but we have nuclear submarines in the Malvinas Islands, occupied by the United Kingdom," he accused. 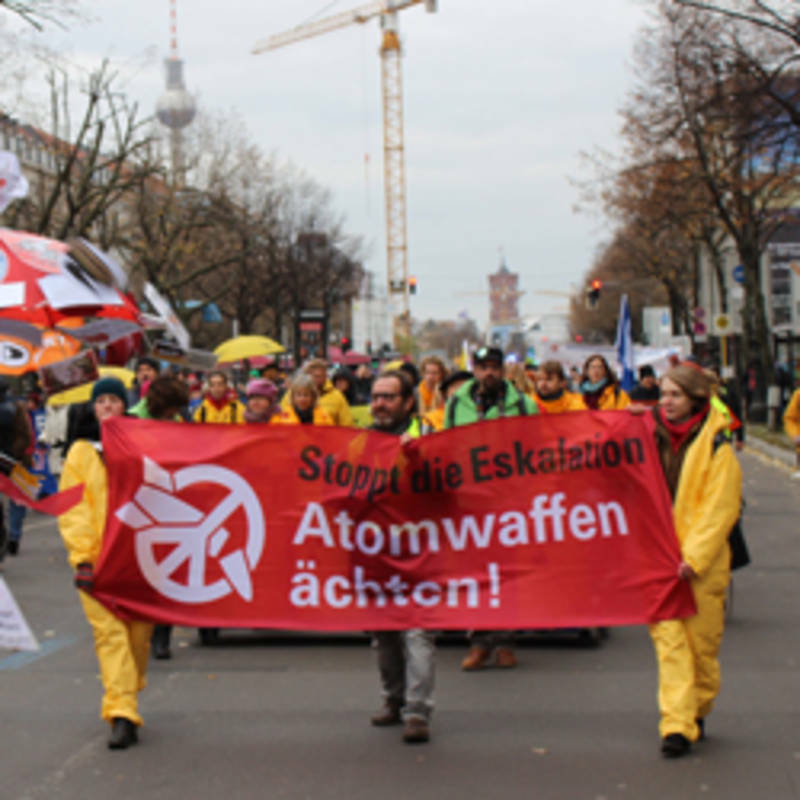 18.11.2017 On November 18, 2017 IPPNW and ICAN and the Berlin peacemovement organized a great action for the ban of nuclear weapons and asked chancellor Merkel to sign the ban treaty. 700 people built a human chain between the US embassy and the North Korean embassy. Two person dressed up as Donald Trump and Kim Jong-un together with their specific nuclear bombs which they moved all the way between the two embassies. In the Middle, in front of the Brandenburger Tor, they had to meet with UN General secretary Antonio Gutérres and chancellor Merkel. Merkel was convinced to sign the weapons ban treaty this way. 25.09.2017 The Treaty on the Prohibition of Nuclear Weapons, which was adopted on July 7 by 122 non-nuclear-weapon states, has opened for signature on September 20 at the United Nations. Nearly 50 heads of state have announced that they will sign on the first day at the General Assembly. 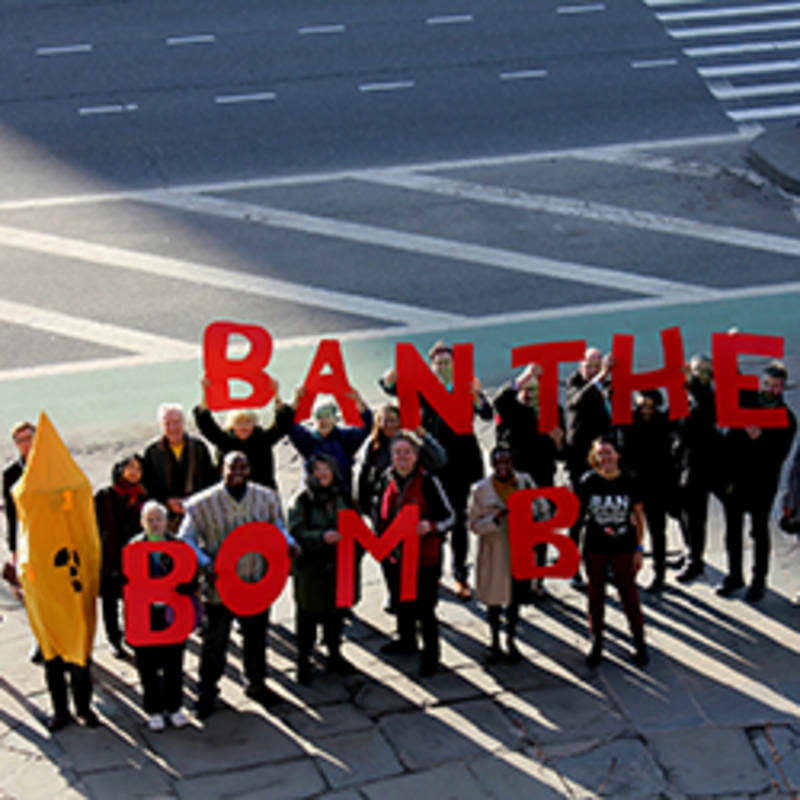 The ban treaty, which prohibits the possession, development, production, testing, acquisition, use, and threatened use of nuclear weapons, will enter into force once it has been ratified by 50 nations. The opening of the Signature Ceremony was webcast live on Wednesday, September 20, beginning at 8:00 am New York time. 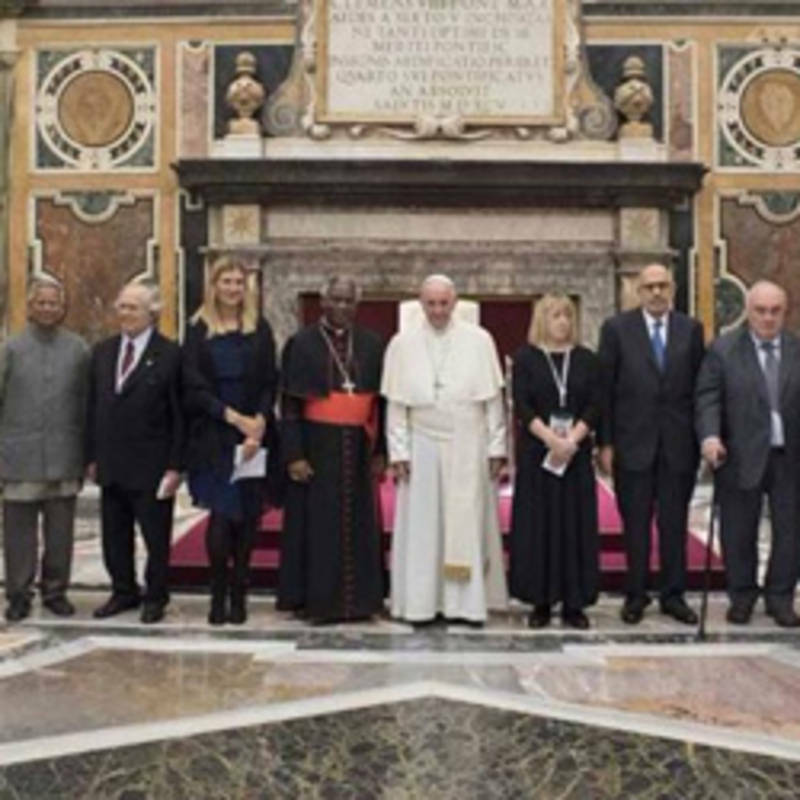 The speakers included UN Secretary General António Guterres, ICRC president Peter Maurer, and ICAN executive director Beatrice Fihn. 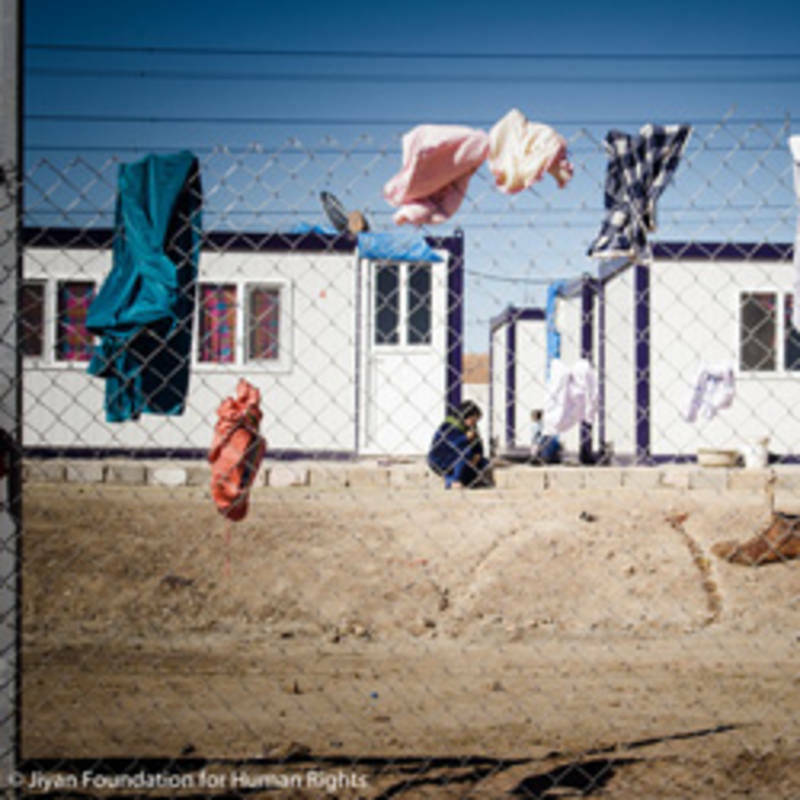 Over 50 states have already signed the ban treaty during the first week following the opening ceremony. 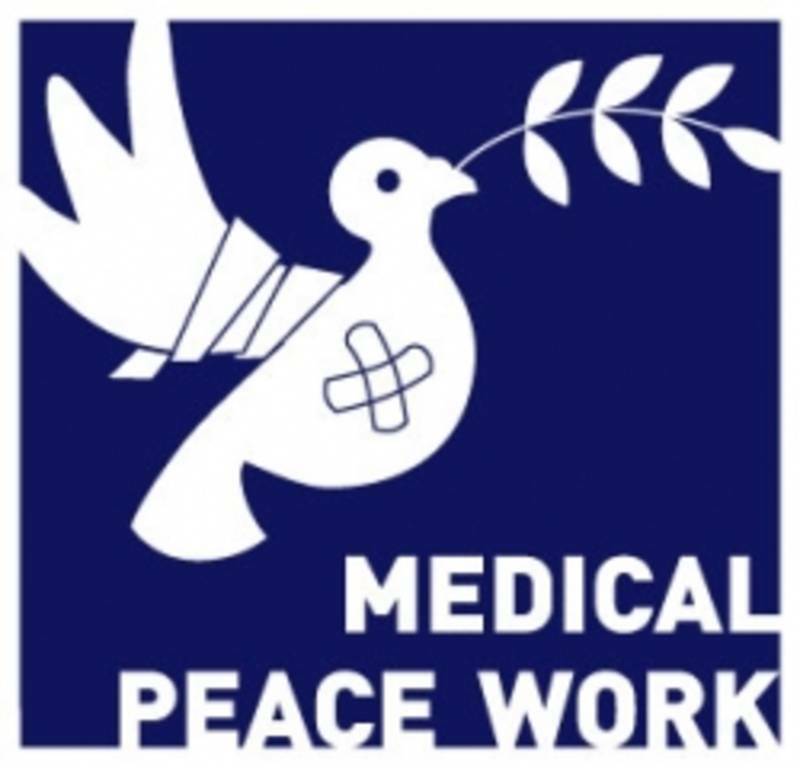 23.09.2017 The leading international federations representing millions of doctors, nurses, and public health professionals have joined with IPPNW in calling for swift entry into force of the Treaty on the Prohibition of Nuclear Weapons. 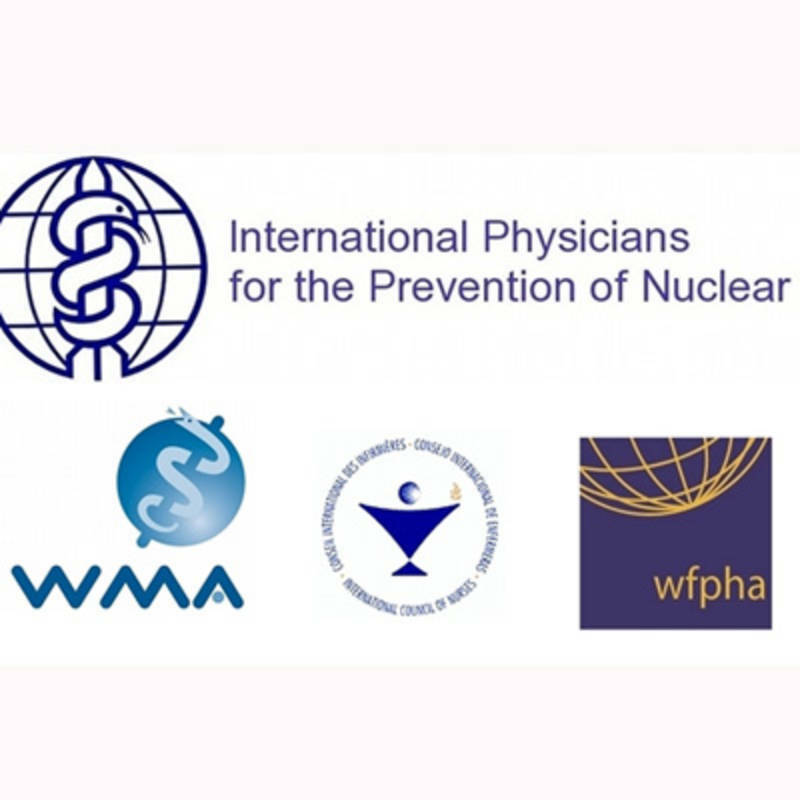 The World Medical Association, the International Council of Nurses, the World Federation of Public Health Associations, and IPPNW, in a statement released on September 18, said the treaty “completes the process of stigmatizing and delegitimizing nuclear weapons,” and urged the nuclear-armed and nuclear-dependent states to eliminate weapons “which threaten the security of everyone….The establishment of a new international norm prohibiting nuclear weapons,” the organizations concluded, “is a crucial step toward their elimination, but it is only a first step.” The WMA, the ICN, and the WFPHA collaborated with IPPNW last year on a joint working paper that presented the health and environmental evidence in support of the ban treaty process. 19.09.2017 A four-day international conference of doctors, lawyers, scientists and nuclear experts from 27 countries concluded in Basel yesterday with the release of the Basel Declaration on human rights and trans-generational crimes resulting from nuclear weapons and nuclear energy. 13.09.2017 Participants in IPPNW’s 22nd World Congress arrived at York University in the UK to news that the Democratic People’s Republic of Korea had conducted a test of what it said was a hydrogen bomb on September 3. 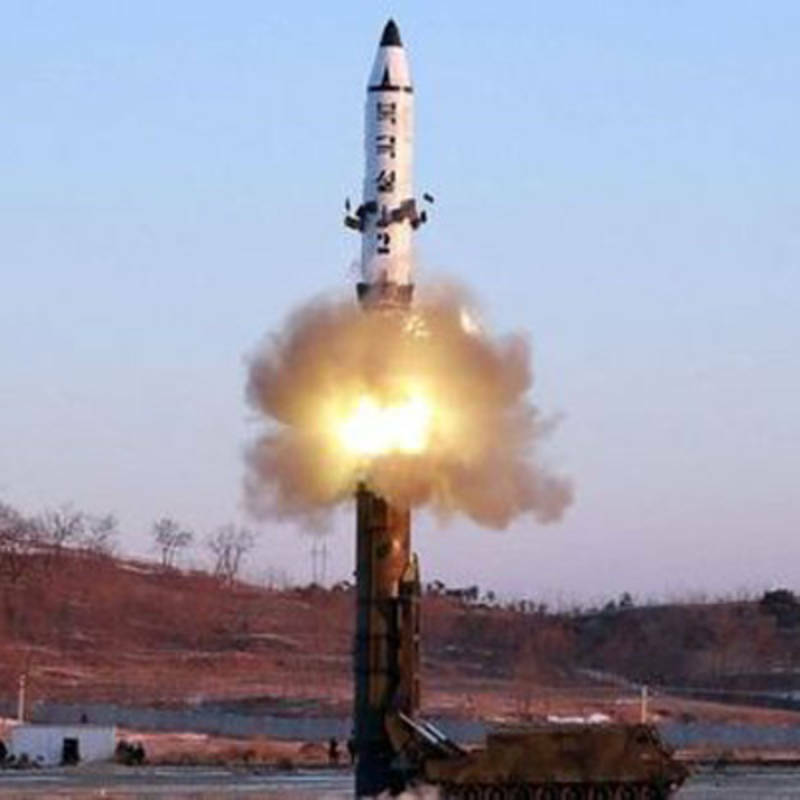 The new nuclear test, along with recent tests of intercontinental and medium-range missiles, were seen as a response to joint military exercises by the US and South Korea, and added to heightened tensions in the region. IPPNW issued a statement from the Congress on September 5, calling on the US and the DPRK “to enter into direct negotiations without preconditions to resolve this dangerous crisis. 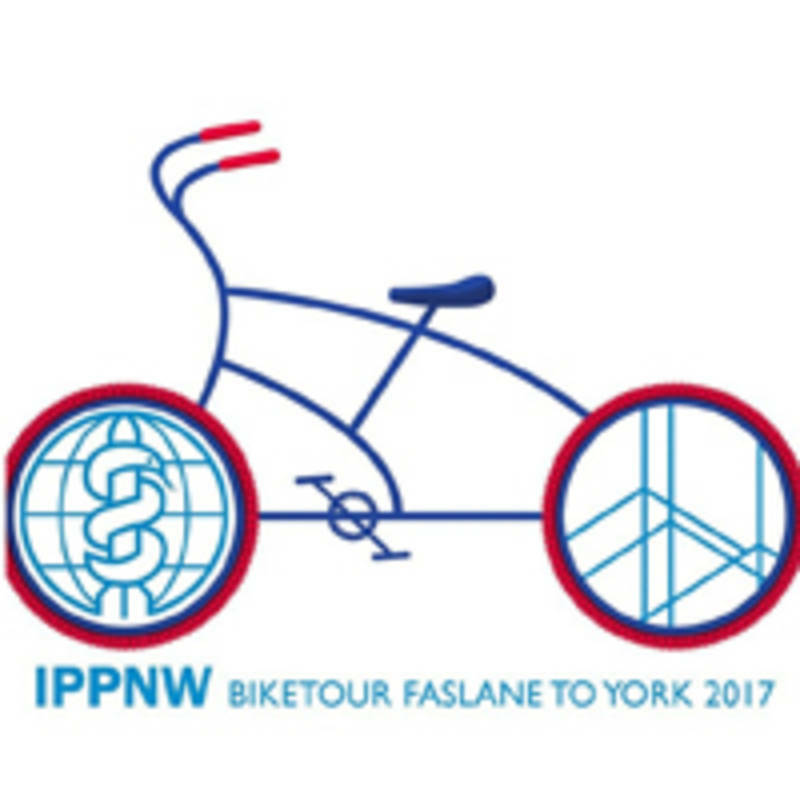 28.08.2017 A group of medical students and doctors from all over the world (Kenya, India, Pakistan, Germany, Nepal, Nicaragua and Russia) came together here in Scotland today to cycle to this year’s “Health Through Peace” conference and IPPNW Congress in York. 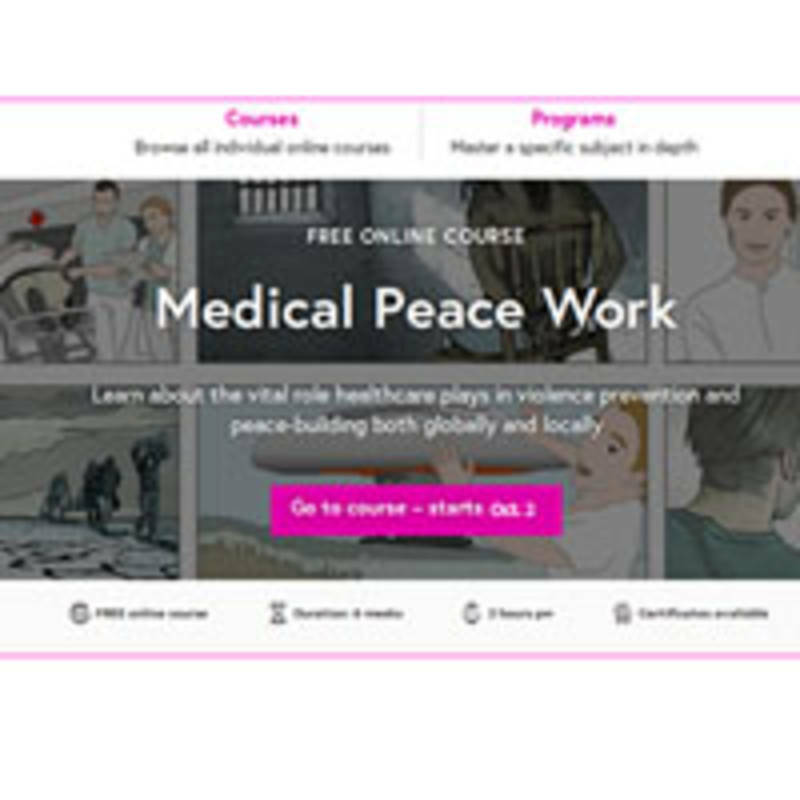 On the way they aim to discuss global nuclear disarmament, causes of conflicts and weapons, and the effects on individual and public health with people they meet on the way. 10.08.2017 The already dangerous crisis in Korea has escalated further with the reckless rhetoric emanating from both the United States and the Democratic Republic of Korea. The wild threats issued by both sides only inflame an already explosive situation. If acted on they could lead directly to the death of tens of millions of people in both countries and beyond their borders. They must stop. 25.07.2017 The world now has an international treaty making it illegal for ratifying states to possess any nuclear weapons. Yet the UK continues to keep and modernise its nuclear weapons at huge cost and risk to life, and is increasingly seen as out of step with the rest of the world. On July 7th 2017 the UN General Assembly adopted, by a vote of 122 to 1, the text of a legally binding ‘instrument’ to prohibit nuclear weapons. 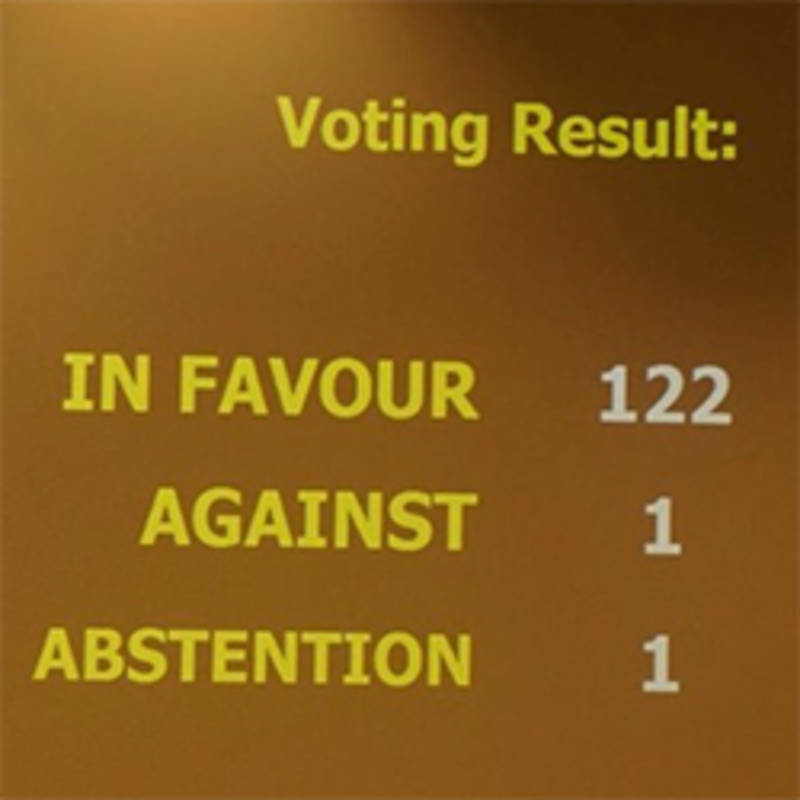 07.07.2017 History was made at the United Nations today when the Treaty on the Prohibition of Nuclear Weapons was adopted by an overwhelming 122-1 vote by UN Member States determined to provide a legal basis for the elimination of the world’s worst weapons of mass destruction. The ban treaty, negotiated by more than 140 states under the auspices of the UN General Assembly, prohibits development, testing, production, manufacture, acquisition, possession, stockpiling, use, and threat of use of nuclear weapons, and provides flexible pathways for nuclear-armed and nuclear-dependent states to comply with the prohibitions once they decide to join. 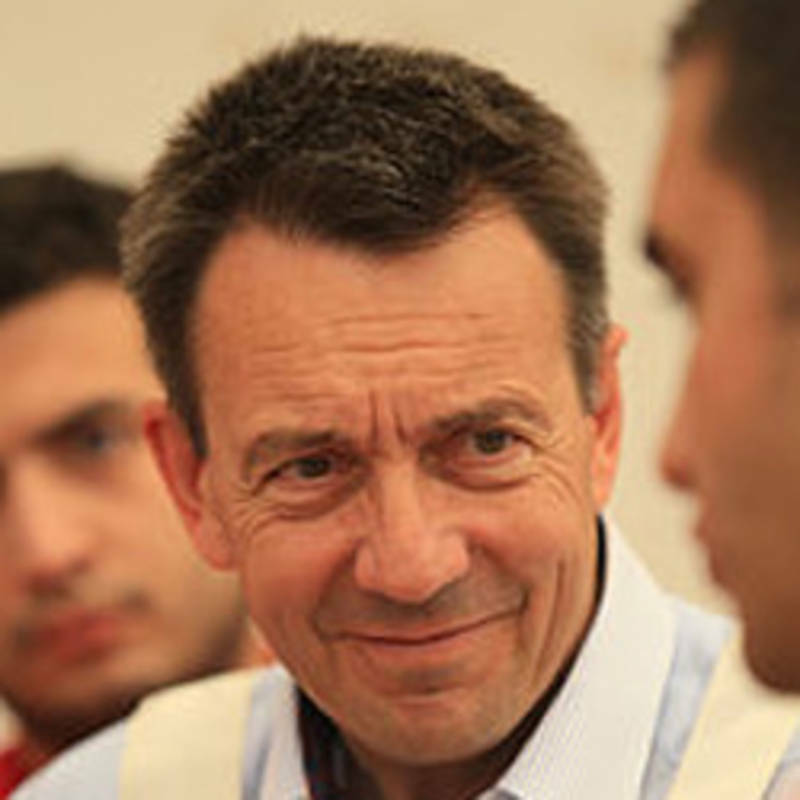 07.07.2017 It is with deep sorrow that we announce the death of Jef De Loof, founding father and president of the Flemish Belgian affiliate. 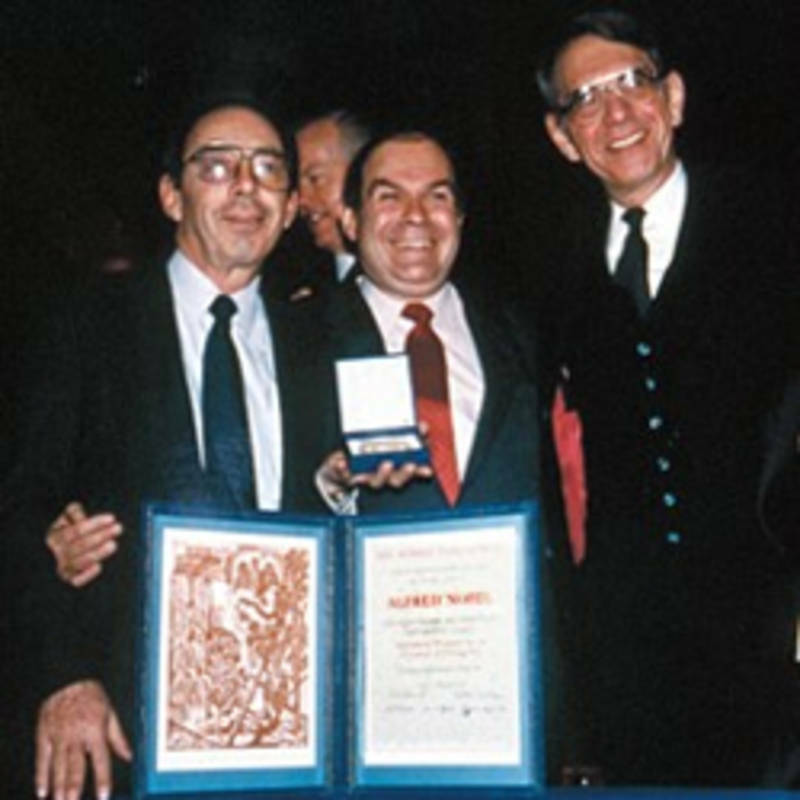 Jef died peacefully at home after a short disease, at the age of 90, on July 7th, the day the Nuclear Ban Treaty was adopted in the UN. Jef dedicated his life to peace and to the abolition of nuclear weapons, with unrelenting commitment and energy. He always advocated non-violent conflict resolution on every level, from family to world politics. We will miss him very much but he will continue to inspire us. We offer our deepest condolences to his wife Rita and to his family. 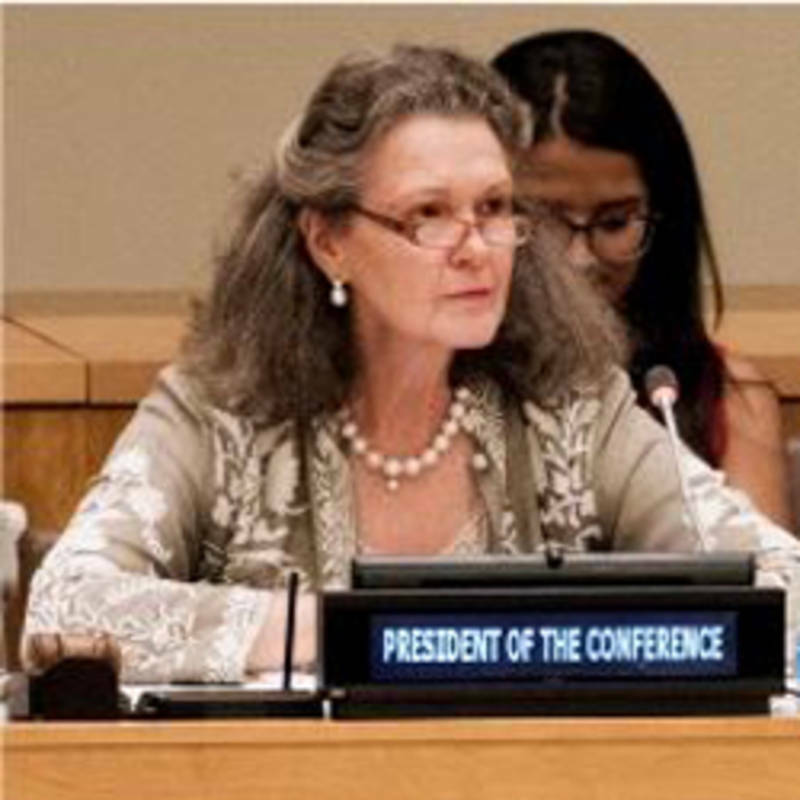 01.07.2017 On Wednesday 26 June, the UN conference to negotiate a treaty banning nuclear weapons undertook the first read-through of a revised draft treaty text prepared by the conference president, Costa Rican ambassador Elayne Whyte. Now two weeks into this final round, many in the room expressed some frustration at this further exchange of positions and views. 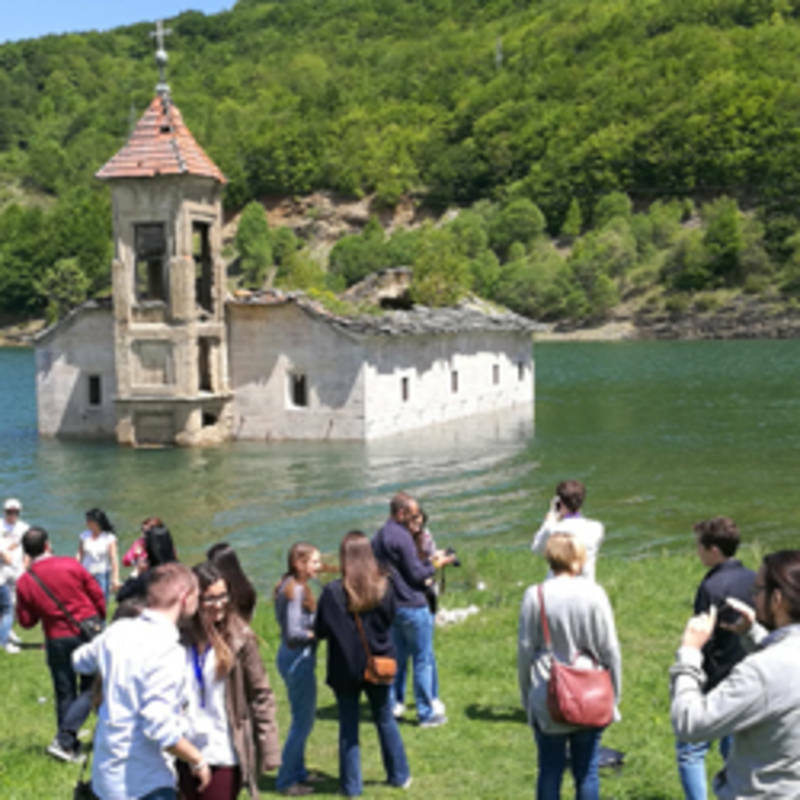 With the clock ticking towards the conference end and target date for adoption of an agreed treaty text on 7 July, many delegates expressed their desire to get stuck into negotiating treaty text, paragraph by paragraph, line by line. 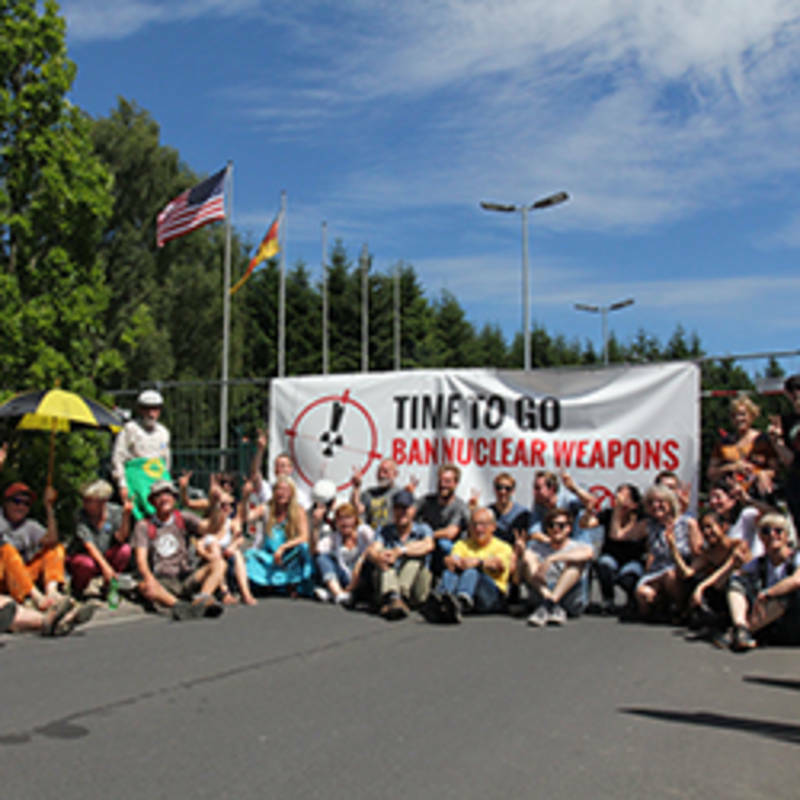 Ban Treaty negotiations head to finish line! 29.06.2017 More than 125 nations are completing negotiations on a new treaty to ban nuclear weapons at the UN. IPPNW and ICAN are in the room as full civil society participants, advocating for the strongest possible language to condemn nuclear weapons and to create the legal and moral foundation for their complete elimination. 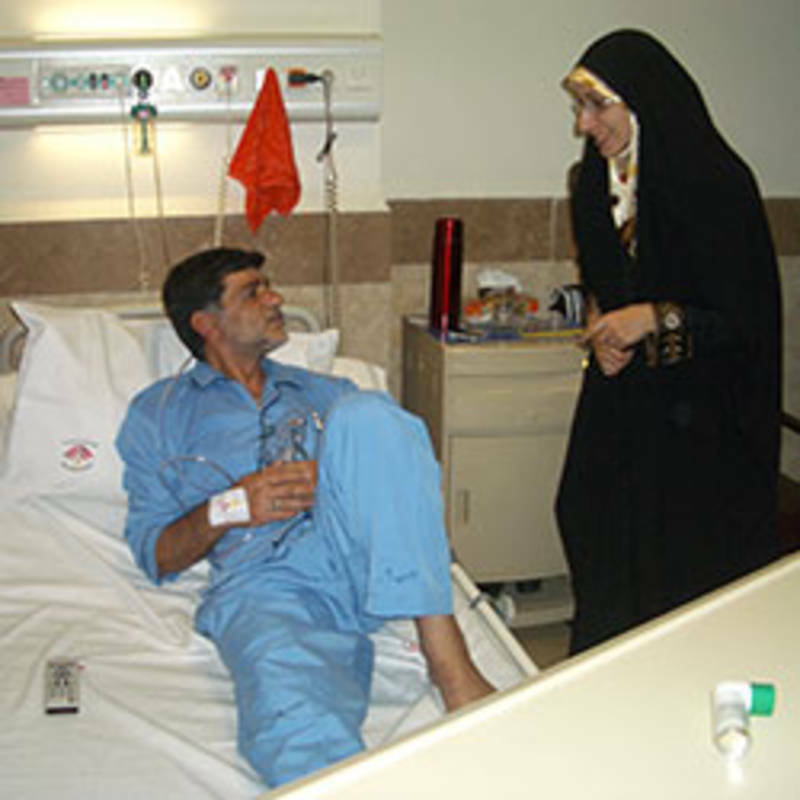 29.06.2017 The humanitarian case for prohibiting and eliminating nuclear weapons has been built upon the scientific evidence about medical and environmental consequences. 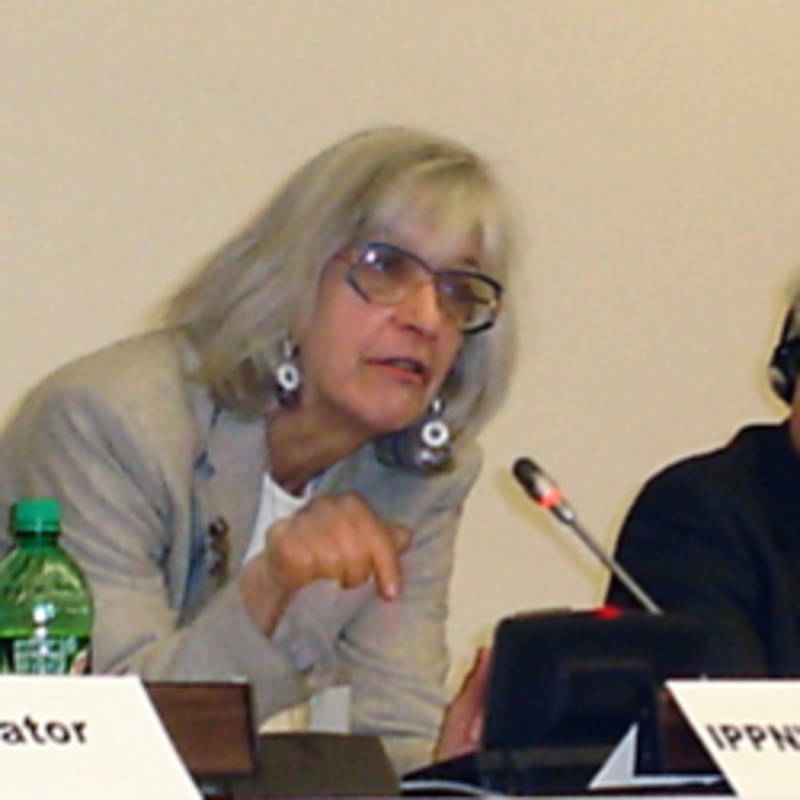 IPPNW has brought that evidence into all three inter-governmental "humanitarian impacts" conferences and into the UN Working Group that preceded the historic negotiations on the Ban Treaty. 27.06.2017 As I write this, a nuclear ban treaty is within reach. And yet, the optimism I should be feeling is tempered by the knowledge of the people, lands, waters, cultural traditions, and innocence that have been lost to the scourge of nuclear weapons. 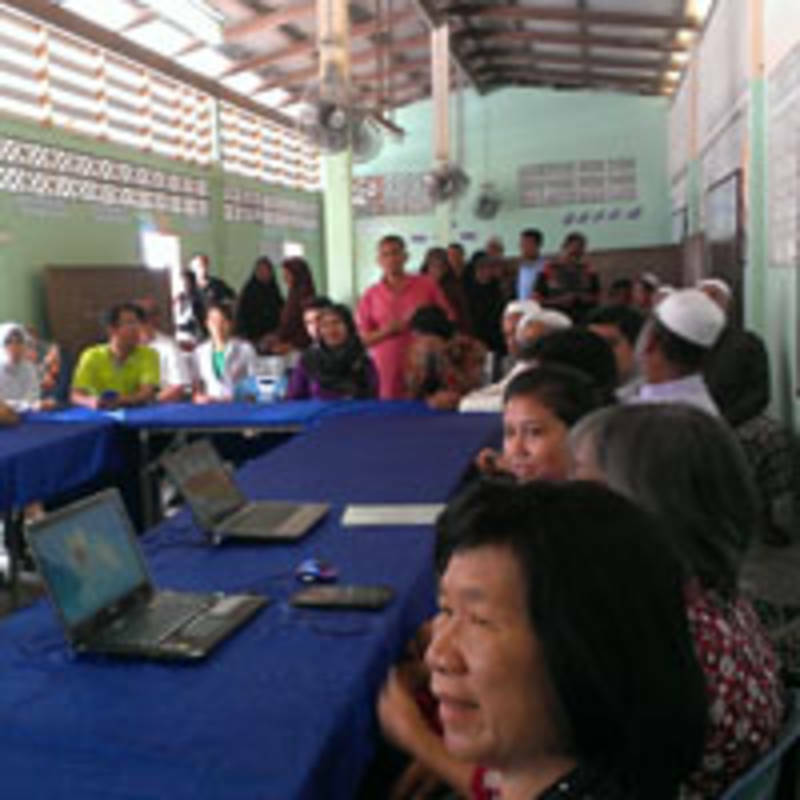 On Sunday afternoon, June 18, during an ICAN strategy and planning meeting, many voiced opinions on various aspects of the ban treaty. There was much discussion about the victims of nuclear testing, with Roland Oldham (President of Moruroa e Tatou) offering the perspective of the inhabitants of French Polynesia. At the conclusion of the meeting, Roland offered the booklet “Moruroa La Bombe et Nous” to anyone interested. He seemed apologetic as he admitted that it was available only in French. Thus began my virtual journey to French Polynesia. 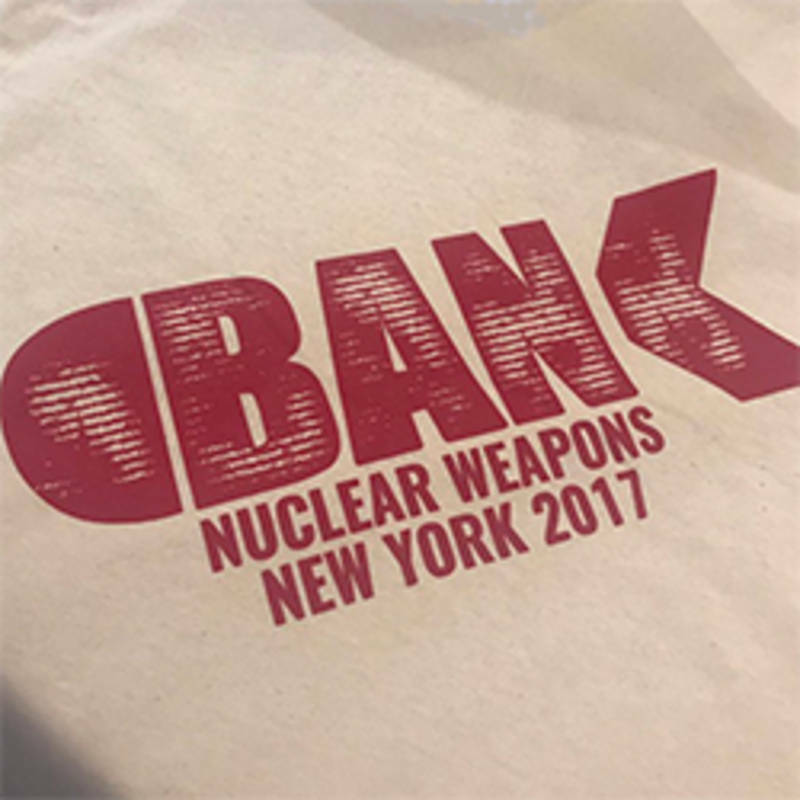 12.06.2017 The second round of negotiations for a UN nuclear weapon ban is scheduled to start next Thursday, 15th June, in New York with more than 130 states taking part. Germany will not be one of them. 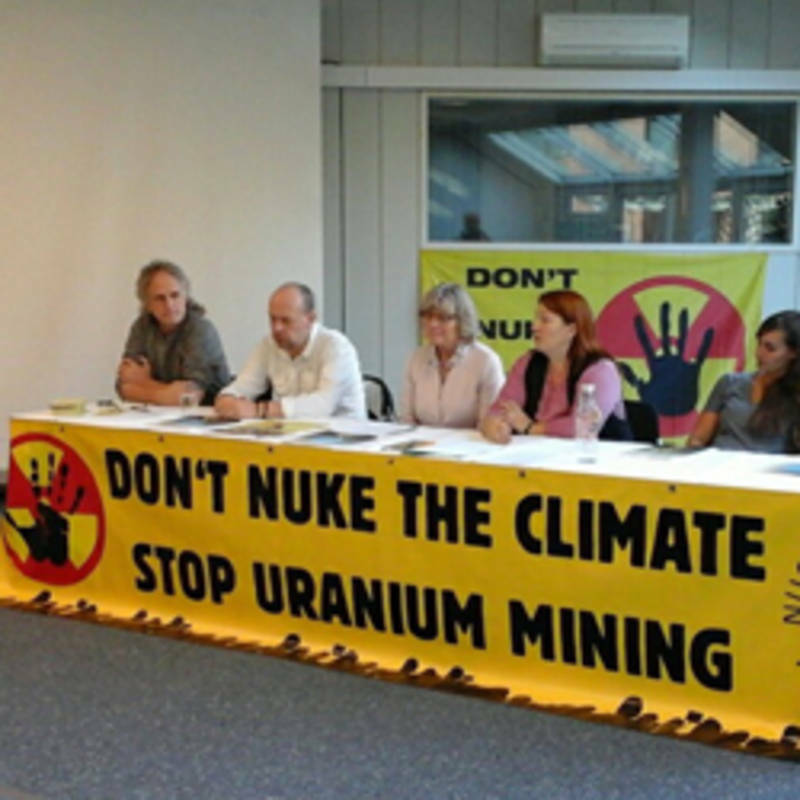 Hoping to raise more public awareness for the ban, the German affiliate of the IPPNW (International Physicians for the Prevention of Nuclear War) organised an international symposium “Nuclear Weapon Ban: A European Point of View” on Sunday in Büchel, a military base in the west of Germany where US nuclear weapons are located, with 70 participants. Pictures of the symposium, as well as of the protests can be found here. 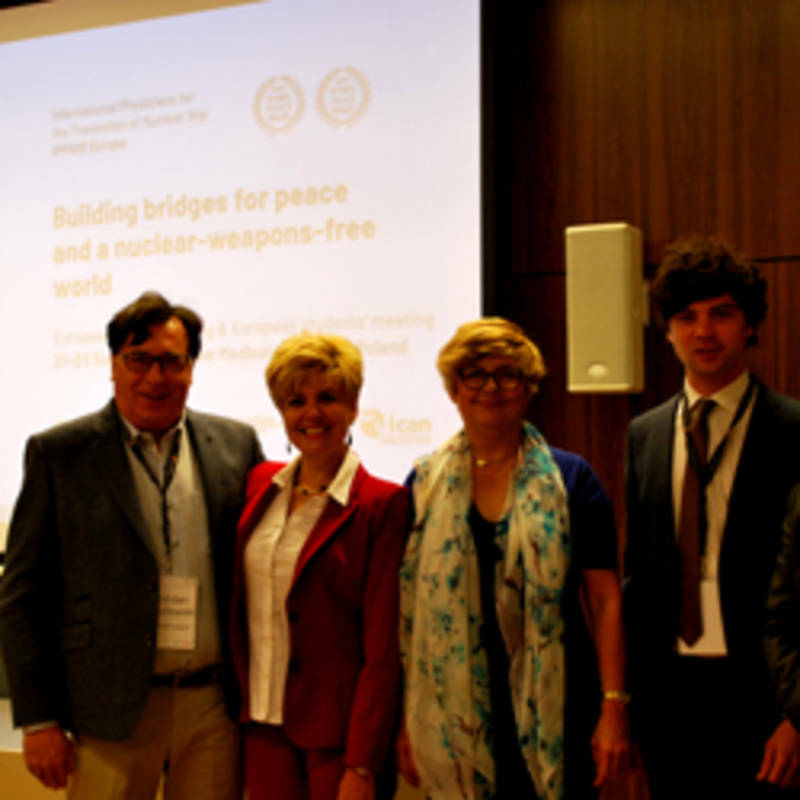 09.06.2017 The Swiss IPPNW, the Association of Swiss Lawyers for Nuclear Disarmament, the International Centre for Comparative Environmental Law (CIDCE), the Uranium Network as well as the Basel Peace Office are organising an international congress on the topic of Human Rights, Future Generations and Crimes in the Nuclear Age, which will take place at the University of Basel from 14th to 17th September 2017. 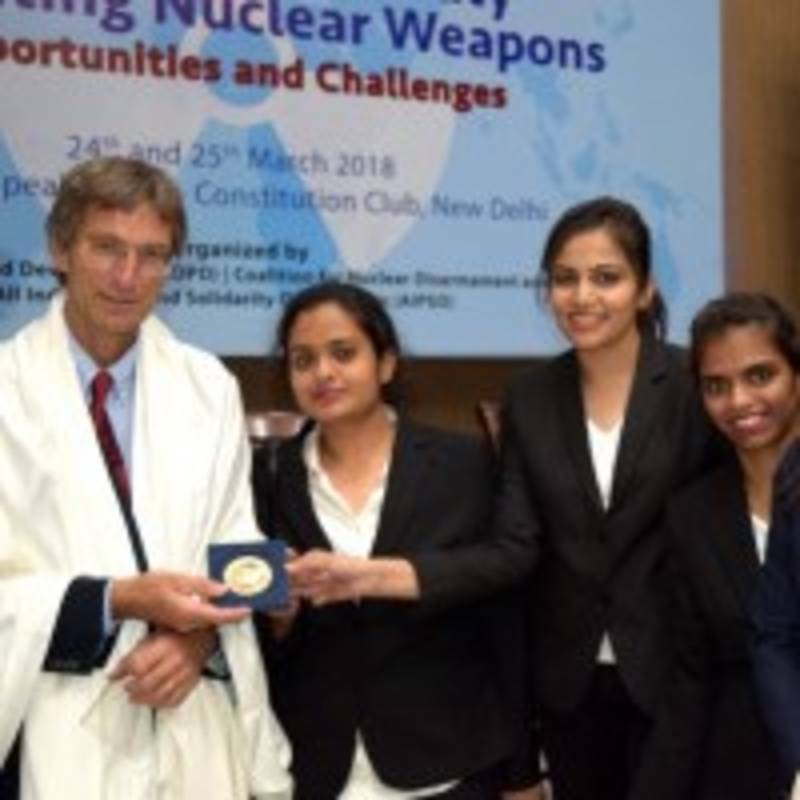 Bringing together lawyers, physicians and experts on nuclear weapons as well as victims of nuclear accidents and nuclear testing, the congress aims to create an interdisciplinary dialogue about topics that are especially relevant in these times of increased geopolitical tension and uncertainty. 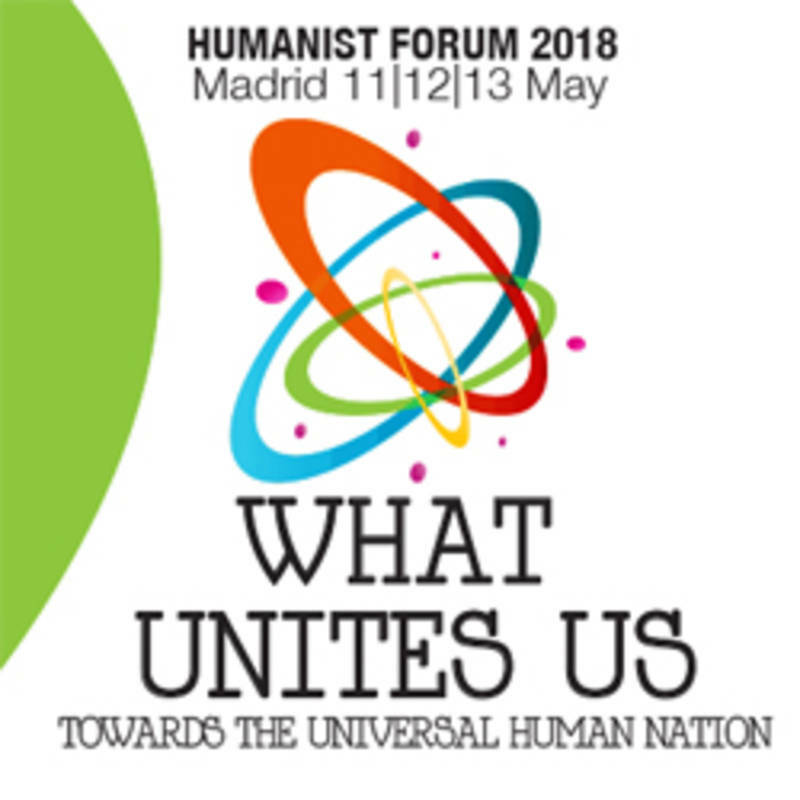 Please find further information on the congress, as well as the online registration form, here. 21.05.2017 The first draft of the United Nations treaty to prohibit nuclear weapons was released in Geneva, Switzerland, on 22 May. Elayne Whyte Gómez, the Costa Rican ambassador who is presiding over negotiations of the historic accord, presented the text to diplomats and members of civil society, before answering questions from the media. 28.04.2017 The persistent tensions on the Korean peninsula are rapidly escalating into a crisis fueled by mutual fears, provocations, and the volatile temperaments of two unpredictable, nuclear-armed heads of state. The current US administration seems determined to “resolve” the situation through shows of force and military threats. The government of Kim Jong-un is accelerating its efforts to test and build nuclear weapons and missiles, while promising “massive” retaliation should the US follow through on those threats. 07.03.2017 On February 21th, an international delegation of IPPNW physicians visited Moscow and met with Russian IPPNW the Russian Pugwash Committee at a symposium on Global Security in the Russian Academy of Sciences (RAS). 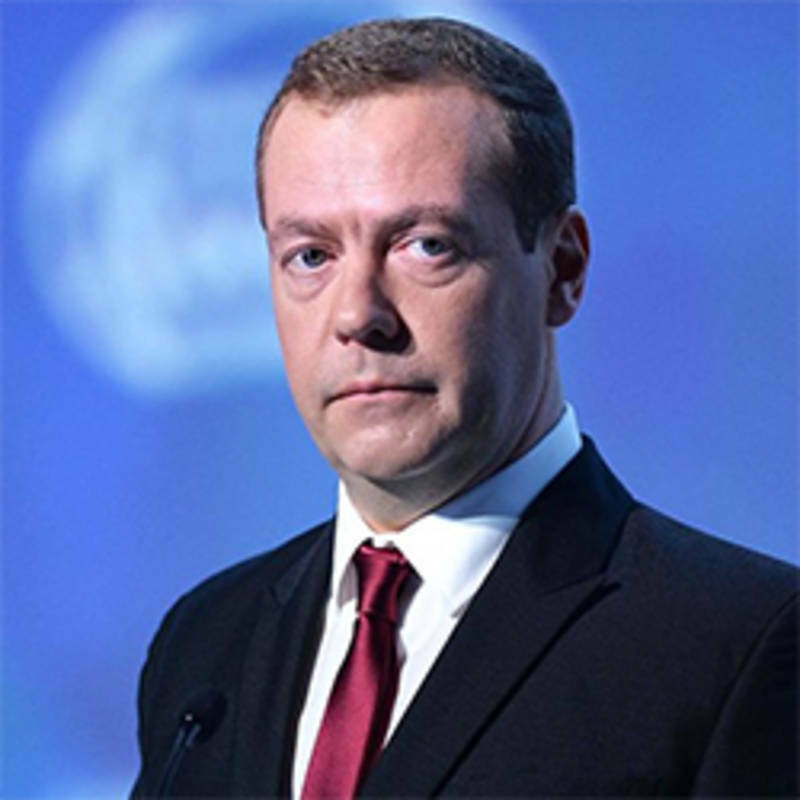 On this special occasion, the IPPNW US and Russian Co-Presidents personally delivered a letter to Russia's Prime Minister Medvedev. 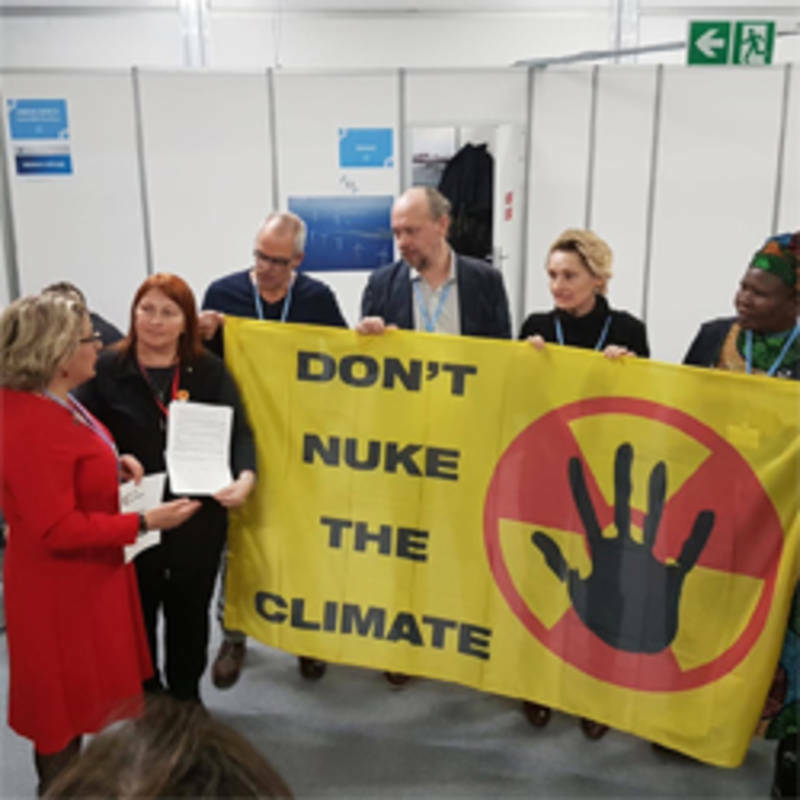 In this letter they urge him to join the negotiations on a treaty banning nuclear weapons and to provide leadership for this process. 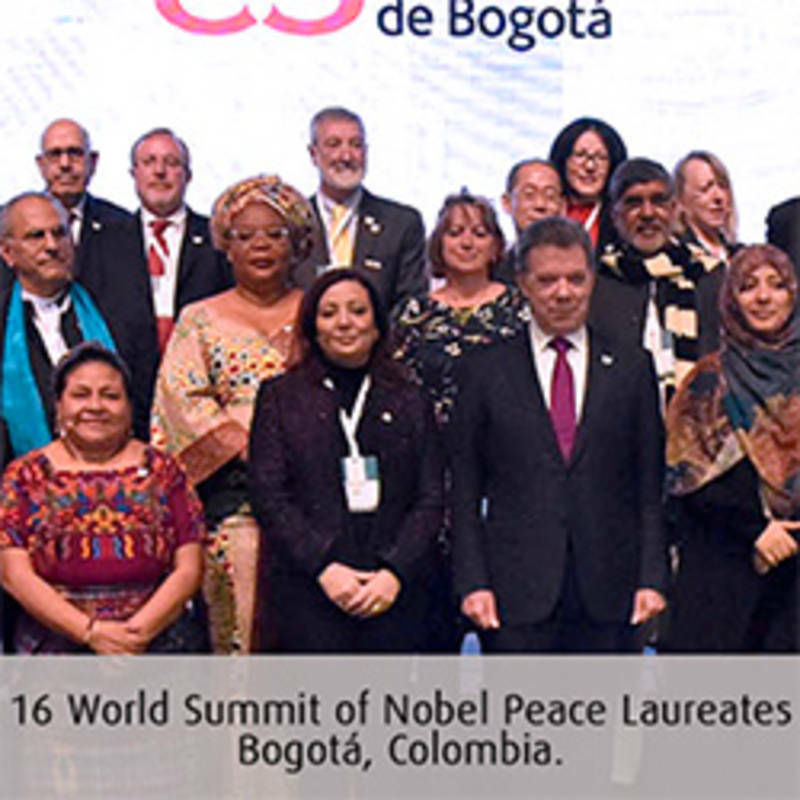 The following statement from 21 Nobel Peace Laureates was released at the conclusion of the 16th World Summit of Nobel Peace Laureates in Bogota, Colombia. 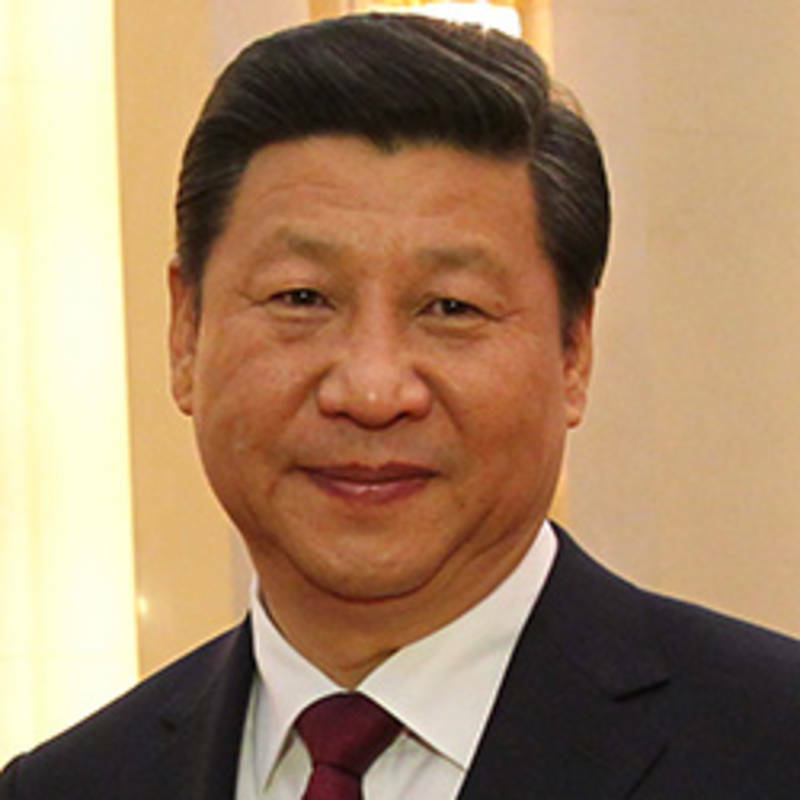 24.01.2017 IPPNW welcomes the statement by Chinese President Xi Jinping that “nuclear weapons … should be completely prohibited and destroyed over time to make the world free of them.” President Xi’s remarks, made during a speech on January 18 at the United Nations in Geneva, were consistent with China’s long-standing official support for nuclear disarmament, and come as the UN is preparing to convene negotiations on a new treaty to prohibit nuclear weapons. 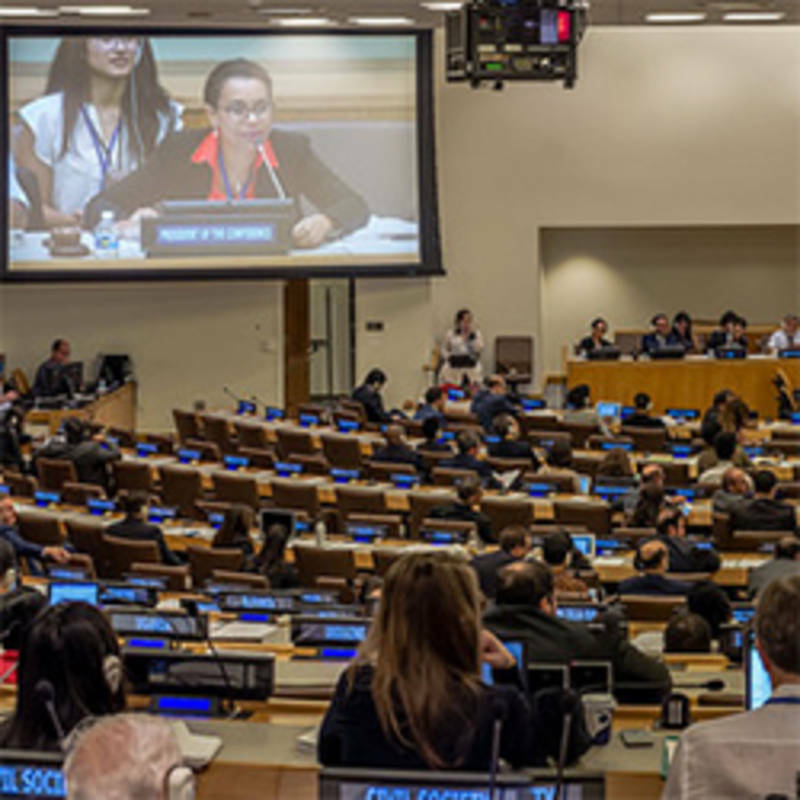 China gave a positive signal at the UN General Assembly last month, unlike its other P5 partners, when it abstained from, rather than voting against, a resolution authorizing negotiations for a treaty banning nuclear weapons. The resolution was carried by a majority of over three to one.